Joelle & Jacob at the Vault! I was the officiant for another fun wedding at the Vault in Columbus Ohio! 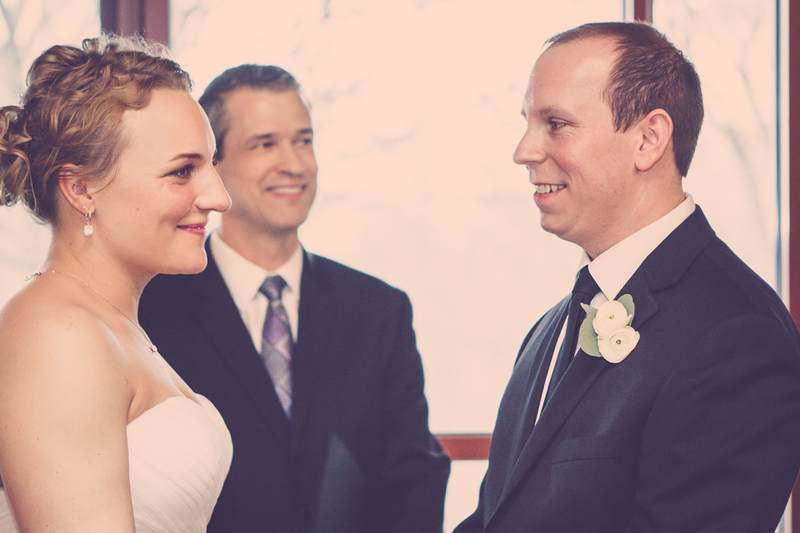 This indoor ceremony for Joelle and Jacob was filled with joy and meaning. A few words that I was privileged to share are listed below this photograph! 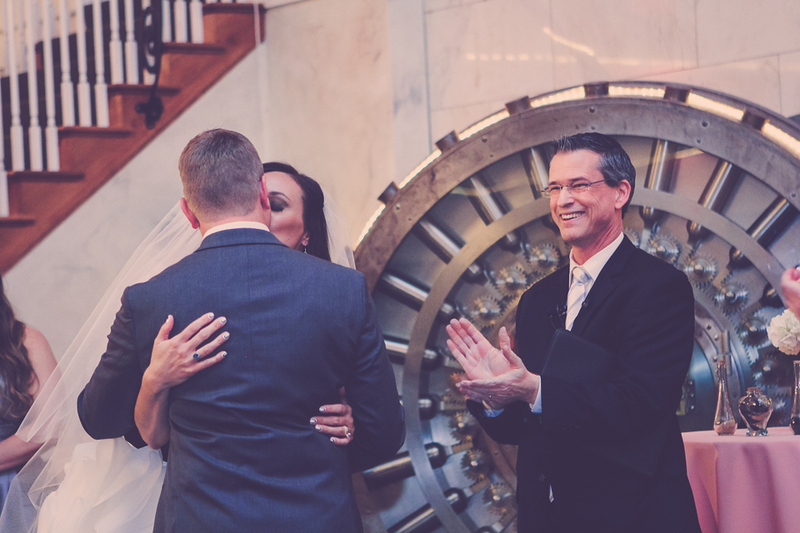 Damian King is the wedding officiant in Columbus, Ohio, at the Vault for Joelle and Jacob's celebration! "A relationship grew stronger by the aid of their friends. And blossomed into love, by the support of their families. And that’s when Jacob realized, it wasn’t really fate that brought them together. It’s been said, that fate is nothing more than the crossing of preparation and opportunity. The day that Joelle met Jacob was the opportunity. But they had been in preparation for that opportunity their entire lives. A preparation that came from everyone in this room. Parents, brothers, sisters, grandparents, aunts, uncles, cousins, nieces, nephews, friends and colleagues." They also conducted their own Sand Ceremony! 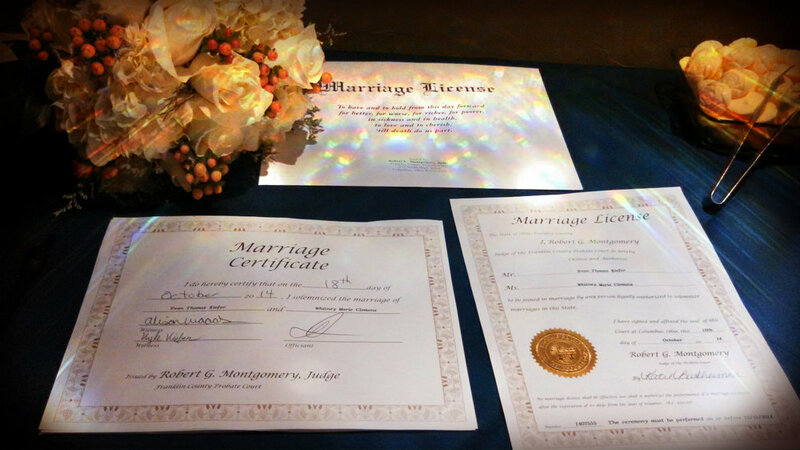 Here is the wording they used - "Joelle and Jacob, today you join your separate lives together. The two separate bottles of sand symbolize your separate lives, separate families and separate sets of friends. They represent who you are as an individual. They also represent your lives before today. As these two containers of sand are poured into the third container, the individual containers of sand will no longer exist, but will be joined together as one." (Sand is poured here) "Just as these grains of sand can never be separated and poured again into the individual containers, so will your marriage be." 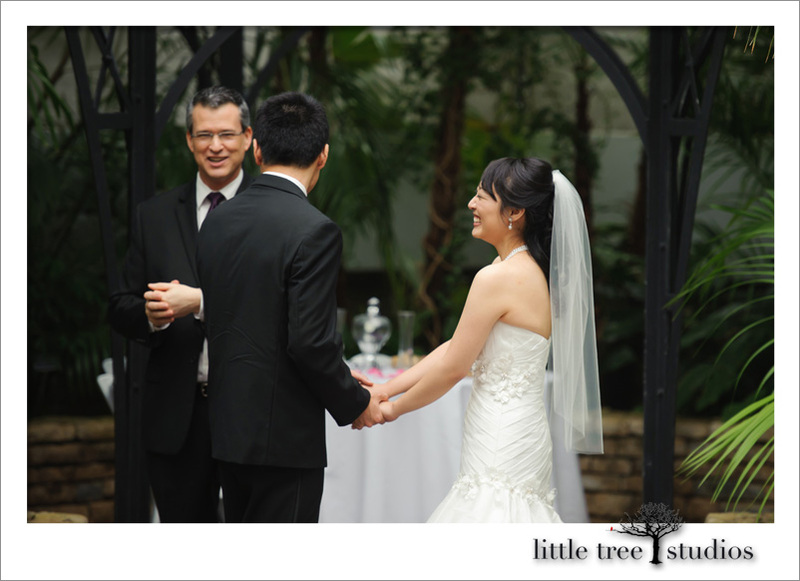 "This wedding celebration is a joining of two unique families who stood separate until today. Today we unite these families by the marriage of Joelle and Jacob. Now as an extension of their love for each other Joelle and Jacob will present a rose to their parents. They would also like to acknowledge the love and sacrifice that each parent has made to make their children who they are today. The giving of this rose is a symbol of honor, love and gratitude. It says, we value you mom & dad, today and always. Thank you for all you have done. We will always be grateful." It was a very special day and their family and friends were so glad to be part of such a time of celebration with the ones they love. The artistic images in this entry are courtesy of Dan Buckley of Dan Buckley Photography. You can view more of Dan's fine professional work by visiting the link to his website provided. 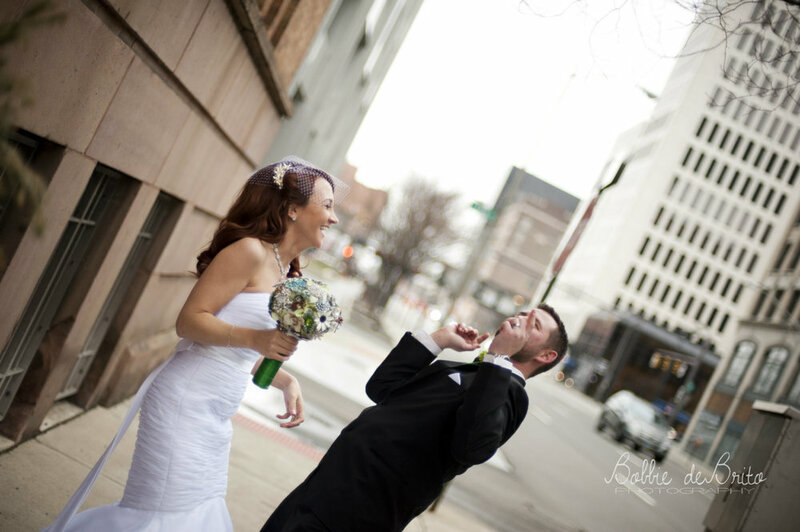 Dan's phone number and email address are 614-288-4427 and dan@danbuckleyphotography.com. That "Holiday Feeling" at Dock 580! Kimberly & Roshan with Wedding Officiant, Damian King, at Dock 580 in Columbus, Ohio!Sometimes a wedding has unexpected moments of fun and festivity! As the offiicant for Kimberly & Roshan at Dock 580 in Columbus, Ohio, we enjoyed a unique moment captured by Mike Stempler of Shutterhead Studios. Mike back lit the precipitation in the dark and photographed a really fun and artistic image. Nice work Mike! 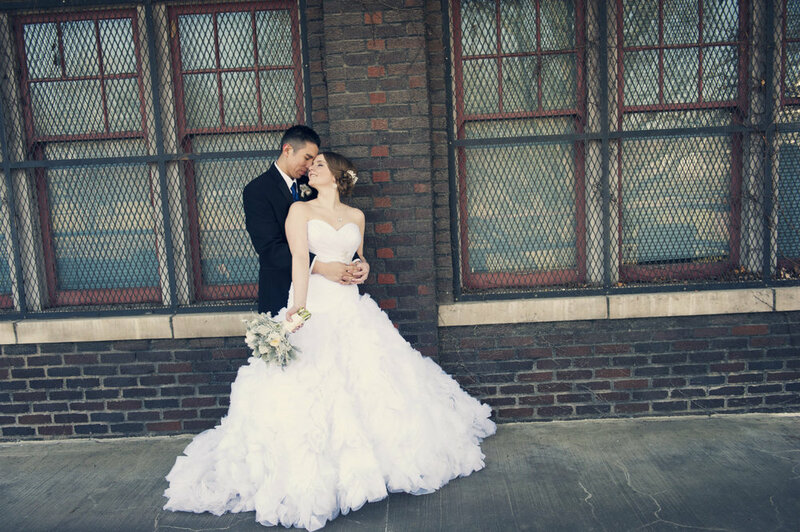 I just wanted to share this one before a more complete blog about Kimberly and Roahan's big day at Dock 580. Make sure to check out Mike's website by following the link provided. 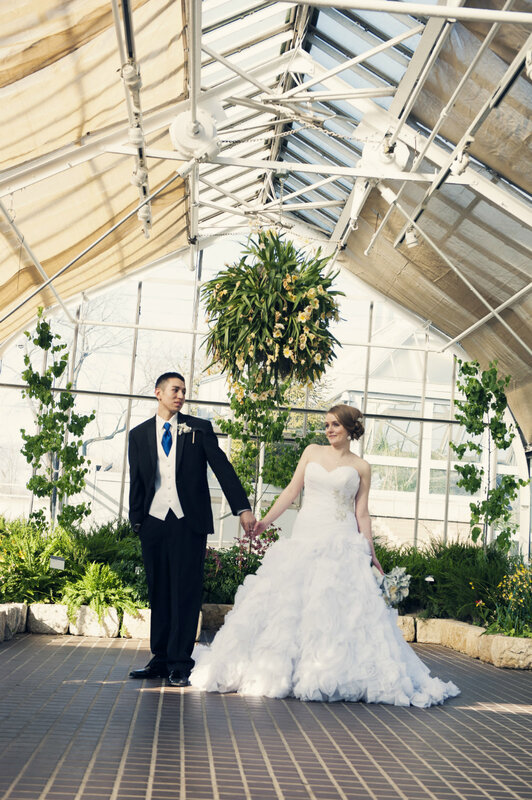 Rachel & Elias at Franklin Park Conservatory! I was enjoying some happy moments as the officiant for Rachel & Elias. 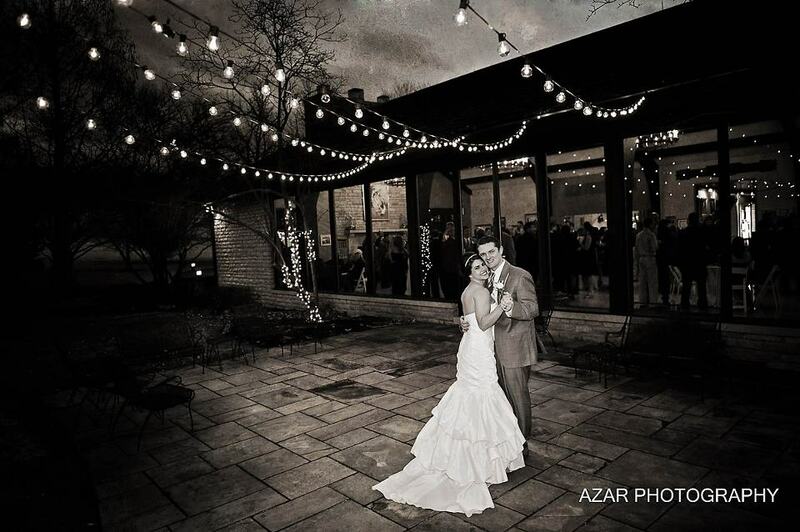 It was their wedding day in Columbus, Ohio, at Franklin Park Conservatory. The Palm House is such a fantastic location both for the plant life, and the lighting for photos! 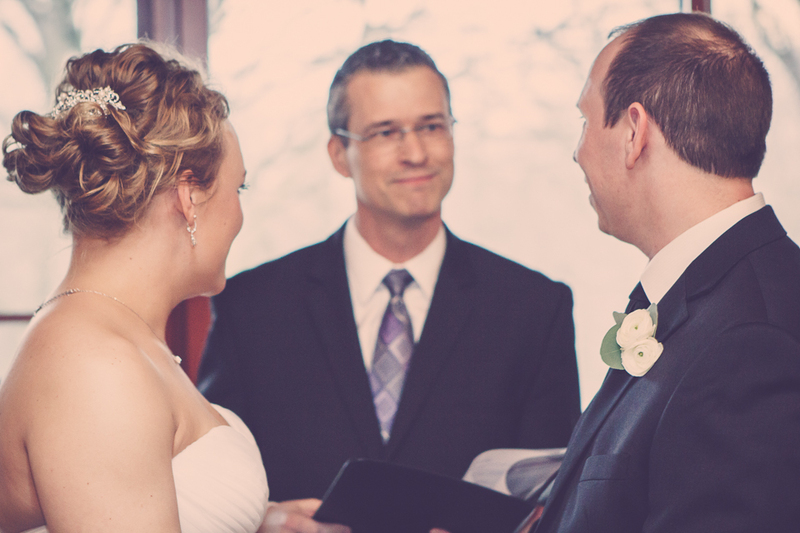 Damian King was officiant for Rachel and Elias at their wedding in Columbus, Ohio!Rachel and Elias share their moment after those words so often heard at weddings, "You may kiss the bride!" Bride and groom kiss in the Palm House at Franklin Park Conservatory, Columbus Ohio.Everyone is very joyful and happy as the bride and groom begin making their way down the aisle! Best man and groomsmen are seen celebrating too. Happiness and Joy! Rachel and Elias begin their walk down the aisle at Franklin Park Conservatory in Columbus.In these next 3 photos Rachel and Elias can be seen together in the peacefulness and quiet joy of their love. 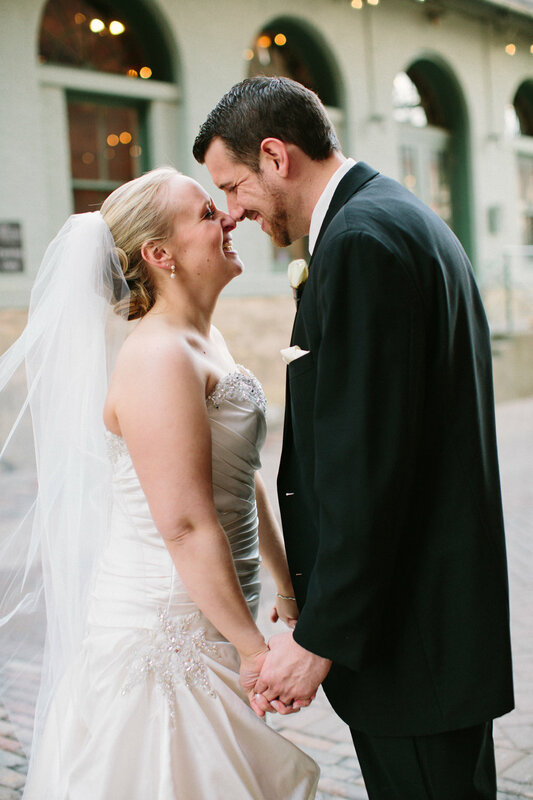 Rachel and Elias share a beautiful and tender moment on their wedding day in Columbus, Ohio. Bride & Groom, Rachel & Elias, at their wedding at Franklin Park Conservatory in Columbus, Ohio "The peace I feel when we are together lets me know - We are meant to be one. "All photos in this entry were from the fine work of the professionals at AddVision. These talented artists can be reached by visiting their website using the link provided. 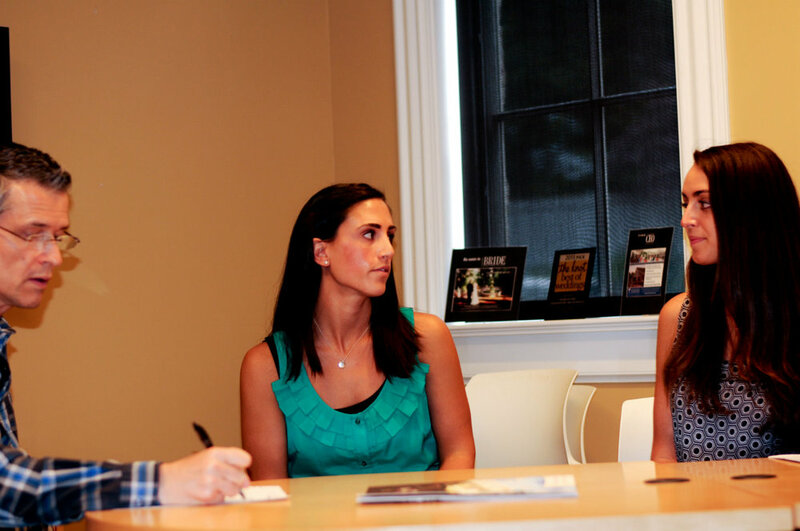 Also you can call or email Mac Wentz at 614-505-6070 and mac@addvisionstudios.com. 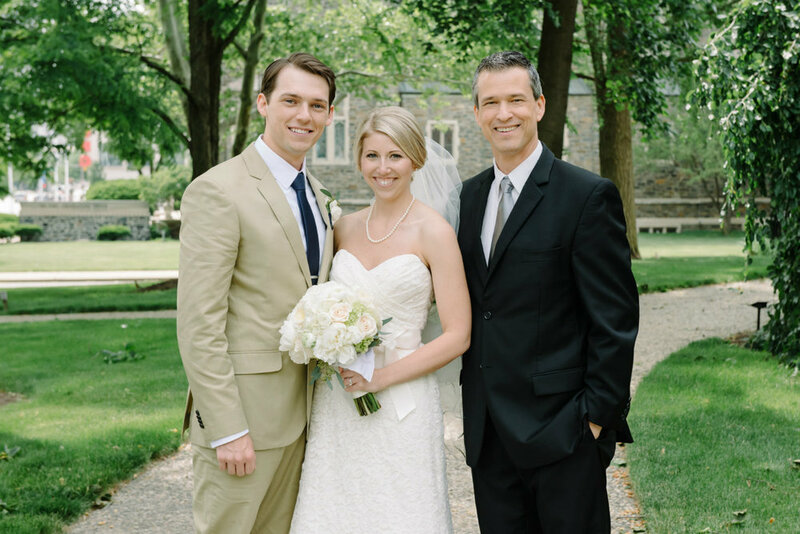 The pleasure of being the wedding officiant for this wonderful couple for was a truly joyful experience. I wish Rachel & Elias all the best in their marriage and lives together! 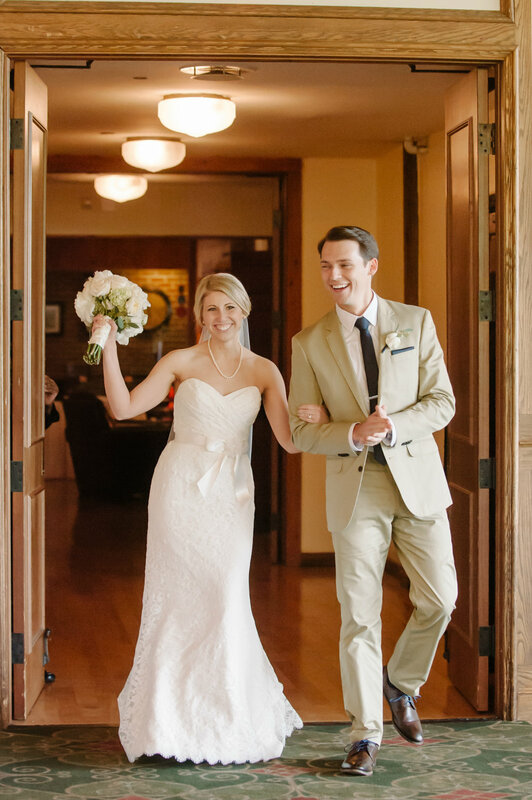 Rachel & Steven at Via Vecchia! 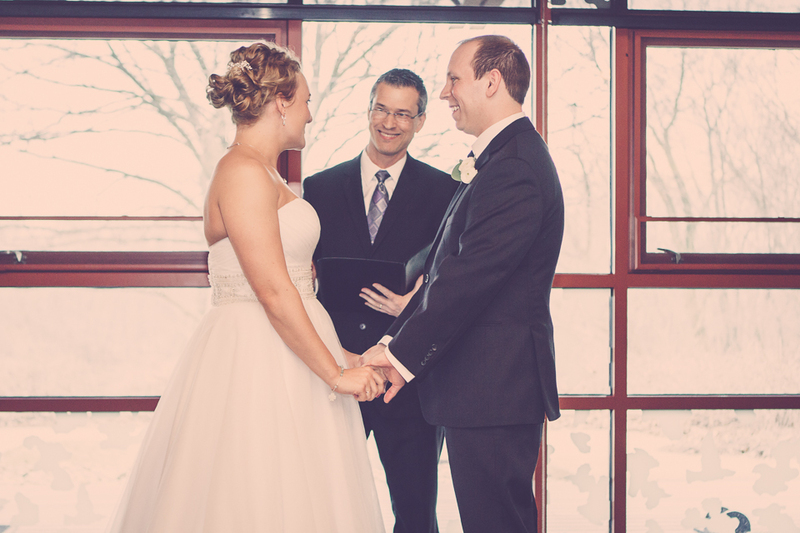 I had the privilege of sharing in Rachel and Steven's wedding as their officiant in Columbus, Ohio! 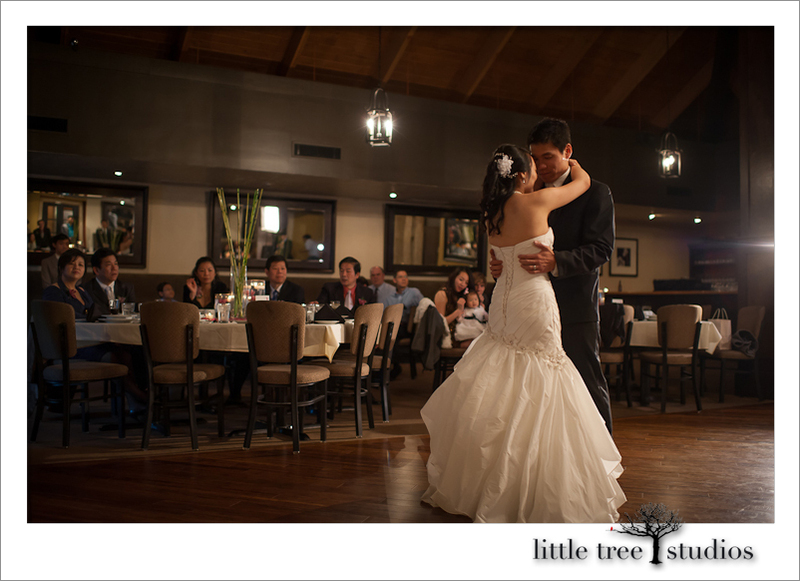 They chose Via Vecchia Winery as their venue. 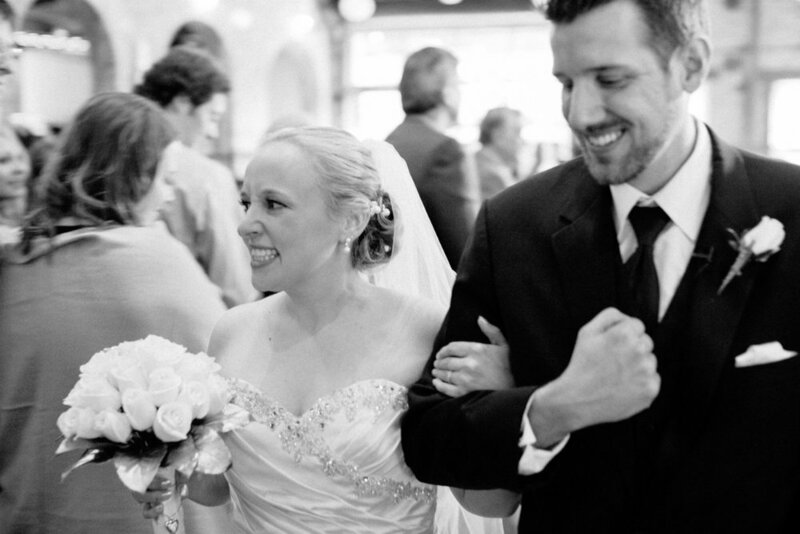 Below, bride and groom enjoy a happy moment as they walk the aisle together! Rachel & Steven at Via Vecchia wedding venue in Columbus, Ohio.The love that Steven and Rachel share is sweet and genuine. My heart sometimes jumps a little when I see a couple enjoy moments like the one seen below. "We couldn't be happier!" 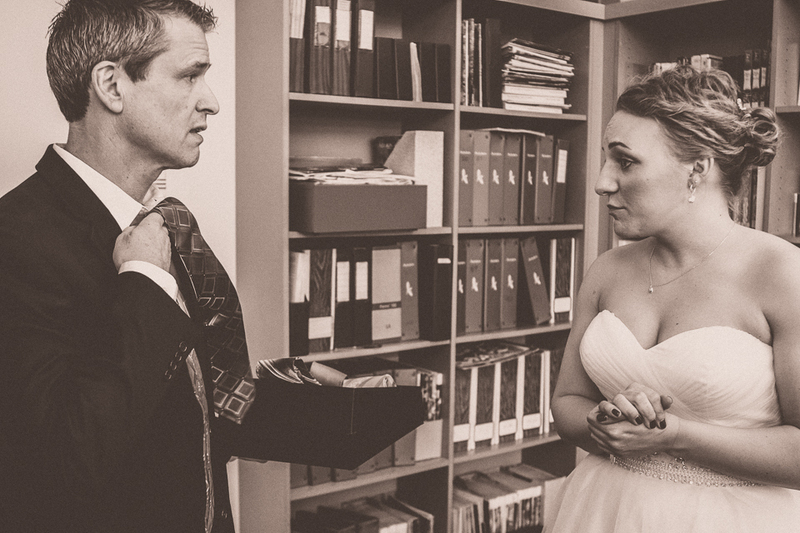 Rachel & Steven at Via Vecchia wedding venue.There is a great deal of emotion in the 2 images that follow and I feel that these images have their own language. 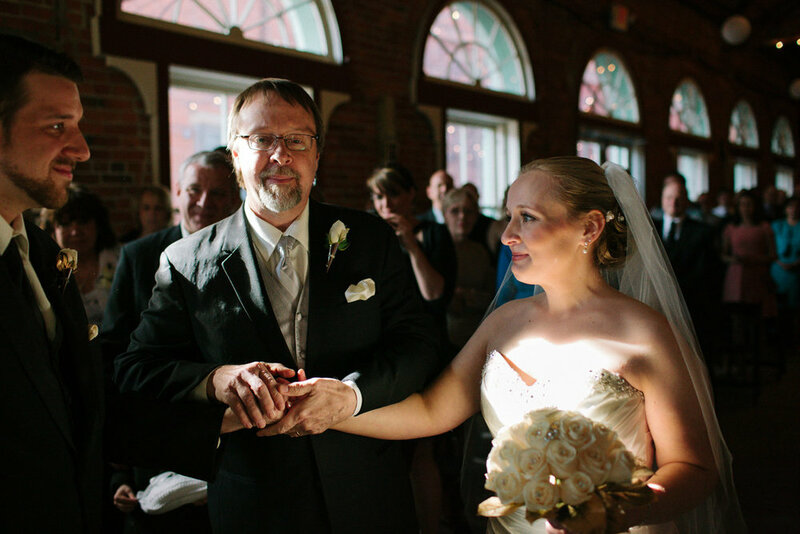 Take a close look at bride with father; then bride with father while she looks upon her groom. An emotional moment at Via Vecchia in Columbus. Father of the bride with Rachel on her wedding day. Father of the bride joins daughter's hand to groom's at Via Vecchia wedding venue.Here is a full image of their indoor ceremony. Rachel & Steven's wedding starts at Via Vecchia. 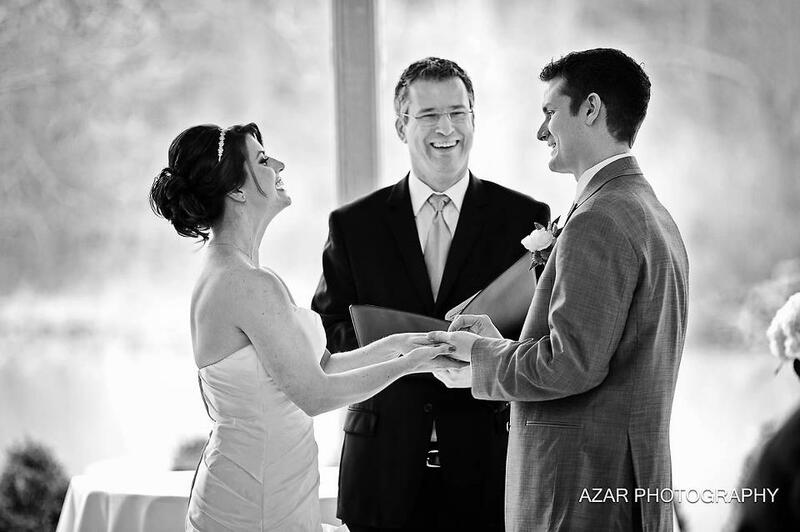 Damian King was their officiant.Just love this shot! What a fun group! Having a great time! 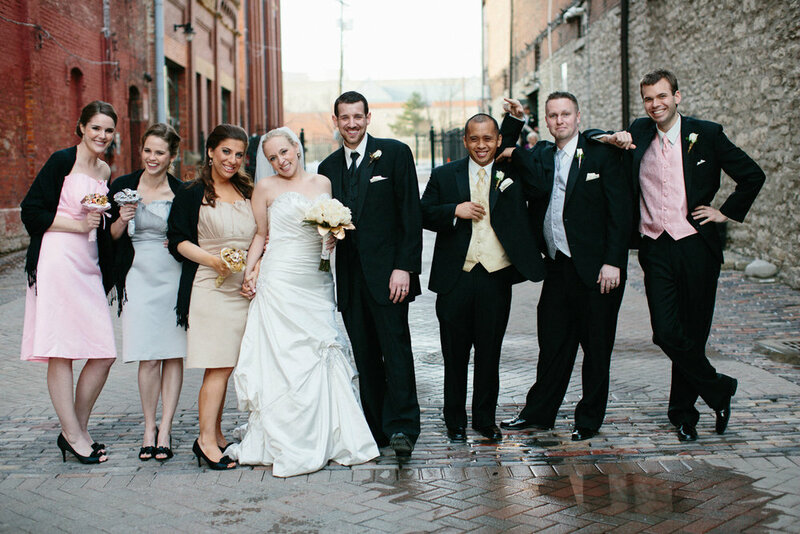 Rachel & Steven and their bridal party outdoors at Via Vecchia in Columbus Ohio.Another very genuine and touching moment shared by Rachel & Steven. I feel fortunate just to be able to see and enjoy this moment in time. "With tomorrow in front of us...to share this moment with you makes time stand still. 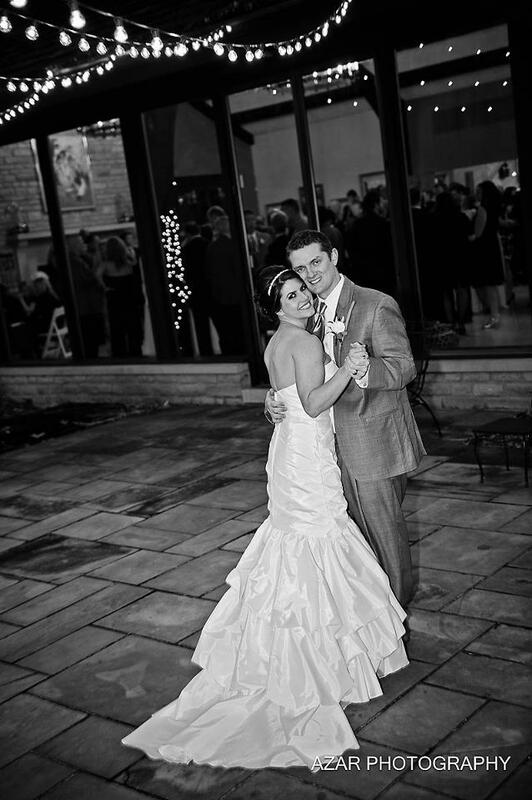 "At Via Vecchia couples can enjoy an outdoor ceremony or one that is indoors. This bride and groom chose an indoor ceremony with the delicious food served by the wonderful folks at Catering by Scott. 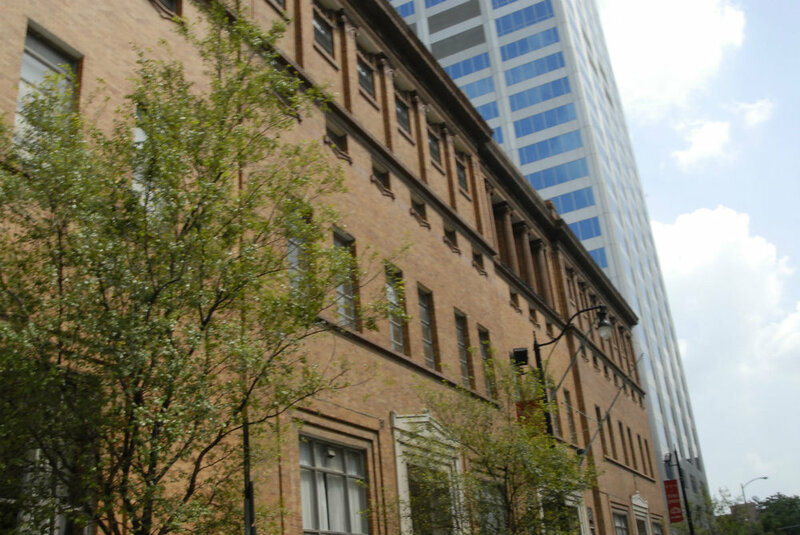 The owners of Via Vecchia are Michael Elmer and Paolo Rosi. These men are some of the most warm, friendly, and kind you will ever meet. 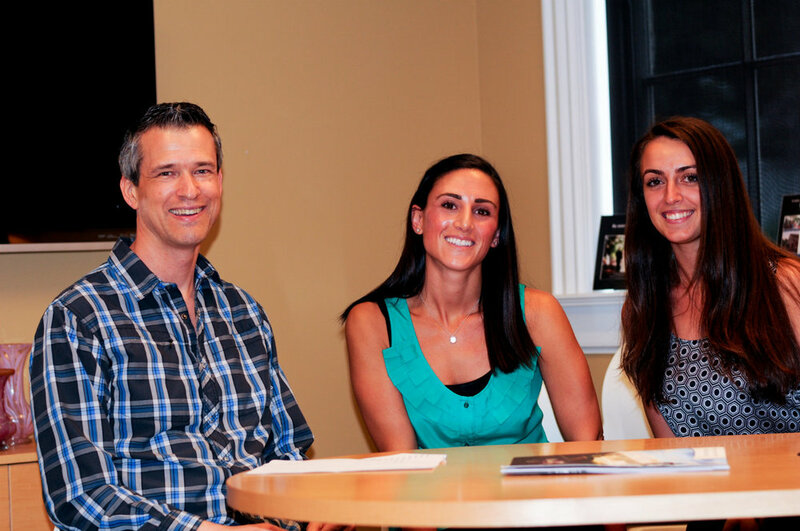 They create a real "family feeling" at Via Vecchia, and take great pride in making people feel so welcomed. They will make you feel like family too. Scott Bast, owner of Catering by Scott, loves his work and loves to make people happy. He is always so fun and friendly, and the food he and his staff prepare is amazing! All the photos in this entry are by Kevin Keefer Photography. Kevin does fantastic work as you can see by the images shown here. They speak for themselves. Please contact Kevin at the link provided. Also, his email and phone number are kevin@kkeefer.com and 614-787-4743. It was my honor to celebrate with Rachel & Steven as their wedding officiant in Columbus, Ohio! I wish the very best for them in the years ahead! 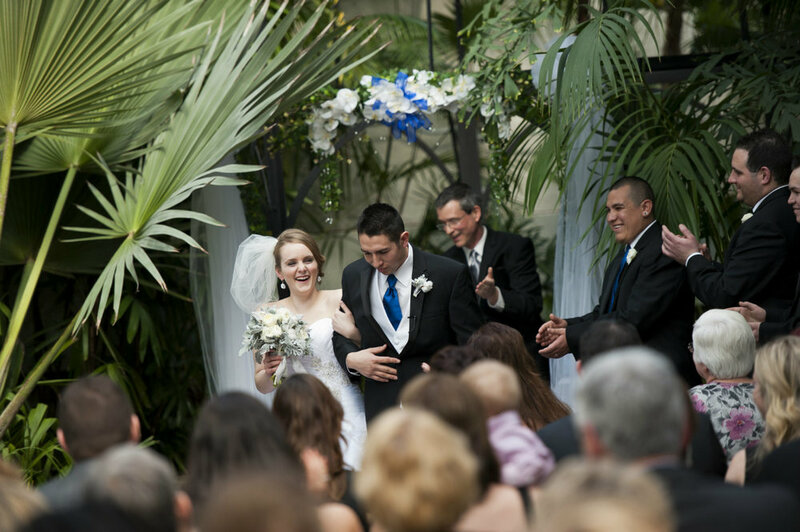 When looking for a wedding venue in Columbus, Ohio there is no place like Franklin Park Conservatory. 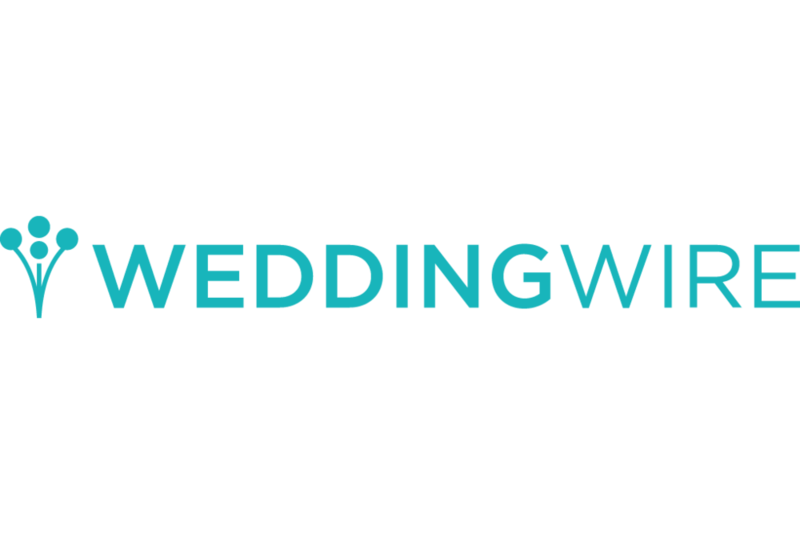 I have the privilege of serving as the officiant for many brides and groom at this wonderful venue and the experience is always amazing. 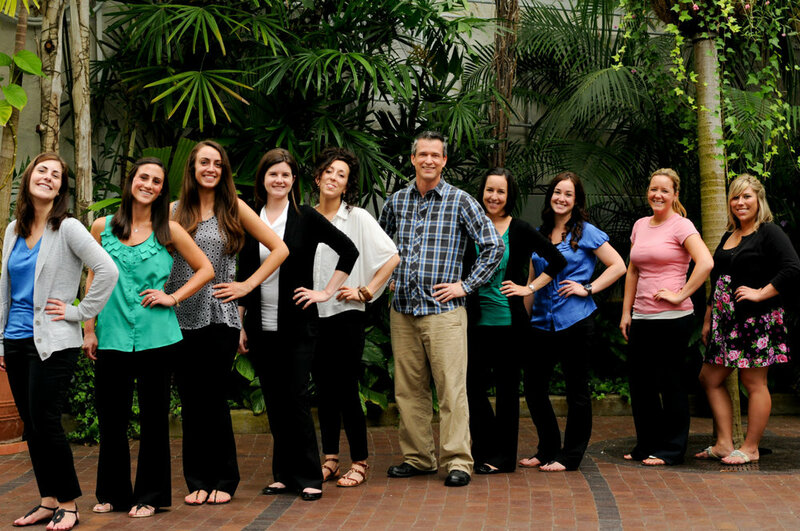 One reason why this venue stands out is the dedication and professionalism of the staff at this Conservatory. Front - Colleen Tassone, Ariana Tyler, and Abbie Ingersoll; Center - Lauren Miller and Megan Heady; Top - Lauren Mack, Catie Devine, Mary Aluise, and Eliza Babarczy! Ladies not present but missed - Brandon Peters & Alyssa Albertone!I had the opportunity to talk with Colleen Tassone and Ariana Tyler earlier this summer. These ladies were kind enough to spend some time with me as we explored some aspects about this venue that distinguishes it from the rest. Wedding Officiant, Damian King with Colleen Tassone and Ariana Tyler at Franklin Park Conservatory , Columbus, Ohio. Franklin Park Conservatory is a garden in an urban area. 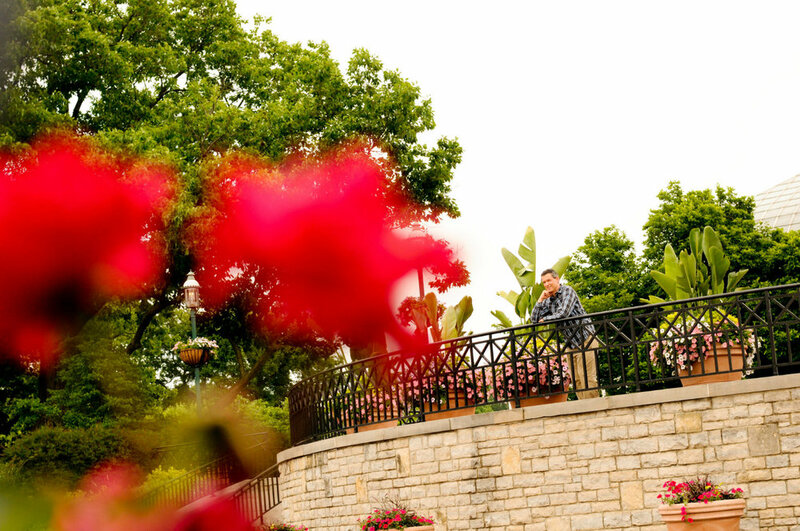 Brides and grooms are able to get the best of both the lush garden surroundings, and all the urban benefits of being situated close to downtown Columbus. The photographs couples obtain are unique and incomparable. Also, brides and grooms receive a high level of customer service. 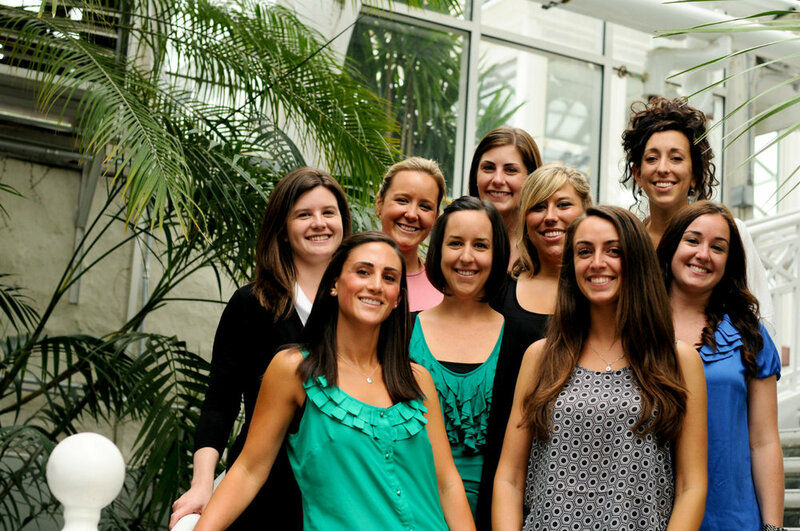 Colleen shared, "Everybody's number one goal here is that the event goes off flawlessly". Damian and Colleen discuss the uniqueness of Franklin Park Conservatory wedding venue.There are specific time frames built in with each event step very clearly delineated, so couples know what to expect and when. 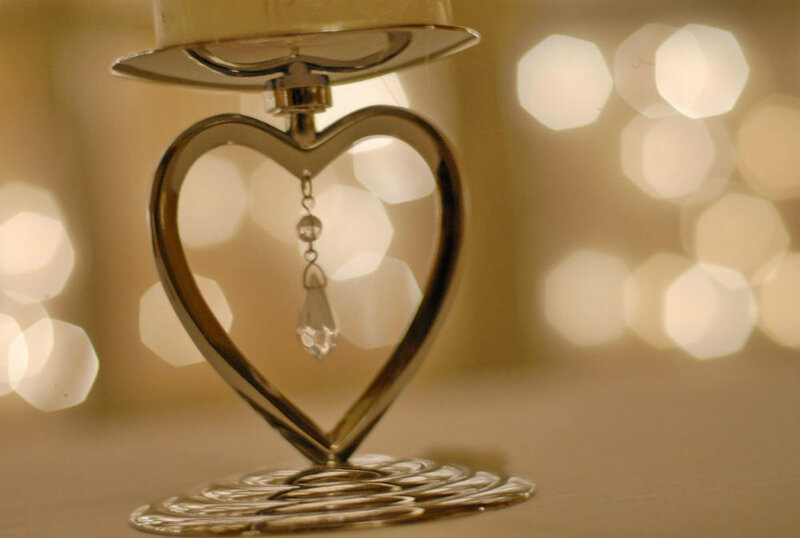 Each couple also receives a personal wedding coordinator who does so much at the rehearsal and on the wedding day to make sure every need is met. It's great! 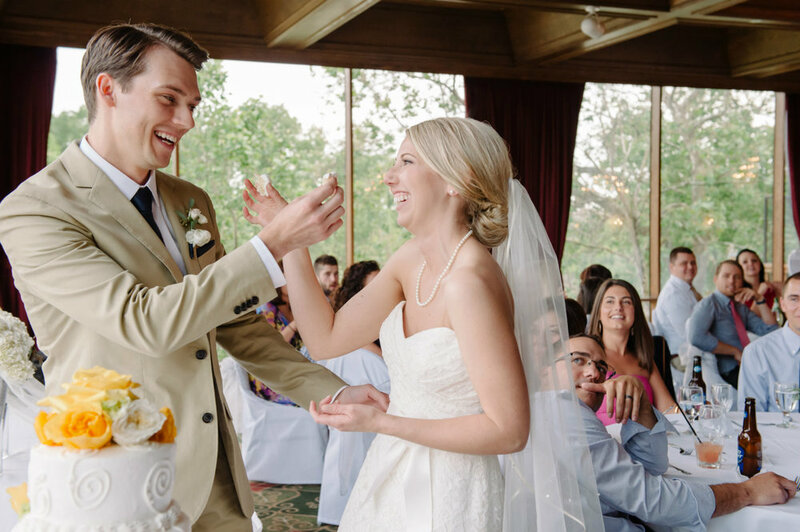 The staff also maintains a fantastic rapport with the vendors serving their couples, and have a "team mentality" when it comes to bringing about a successful wedding. This all works together for a wonderful wedding experience. 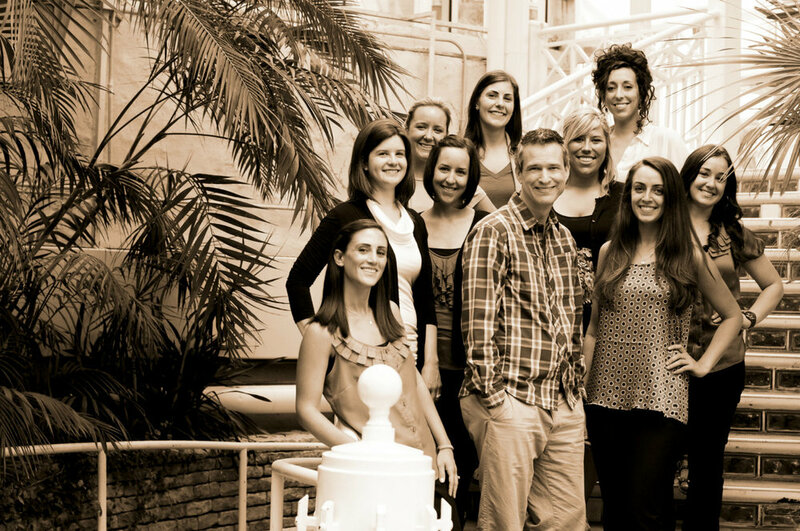 On the steps of the Palm House - Damian King enjoys a moment of reflection.These are the ladies who make this all work... No they are not showing off, they are just happy to be a part of such an awesome team! Overlooking the West Terrace in Columbus, Ohio. Many outdoor ceremonies take place here.Here you can see a little bit of what I was looking at. It is all so incredibly beautiful. Outdoor Ceremony Backdrop - gardens along the Grand Mallway. 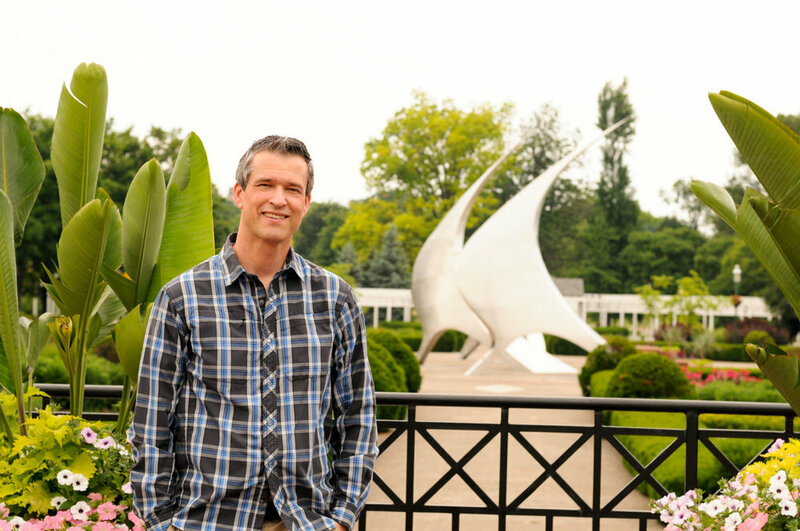 Stephen Canneto's NavStar sculpture can be seen in the distance.When I asked Colleen "If there were 3 things that make Franklin Park Conservatory truly stand out as one of Central Ohio's Premier wedding venues what would they be? She said that they were the Botanical Gardens, the convenience and amenities, and the customer service. These ladies seen below make it all happen. 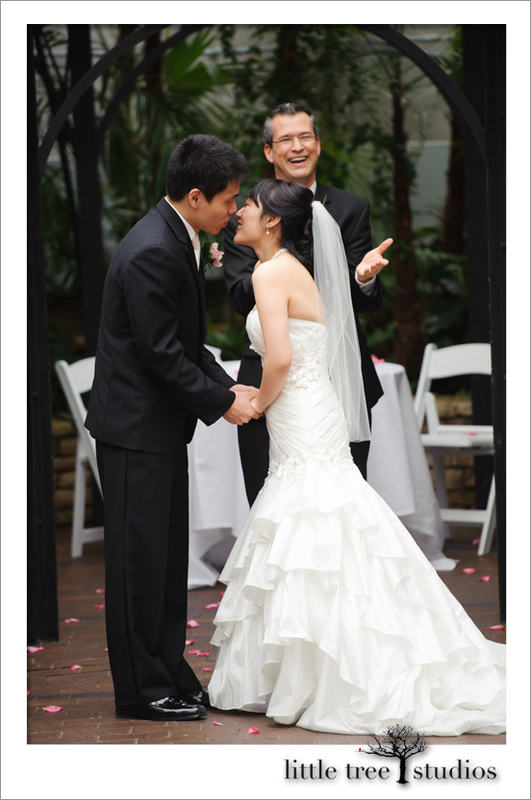 I invite you contact Franklin Park Conservatory for your wedding needs. You won't be disappointed! These ladies are fun, professional, and do everything they can to give brides and grooms a fantastic wedding experience!All photographs in this entry are the artistic work of April King of Open Prism Photography. 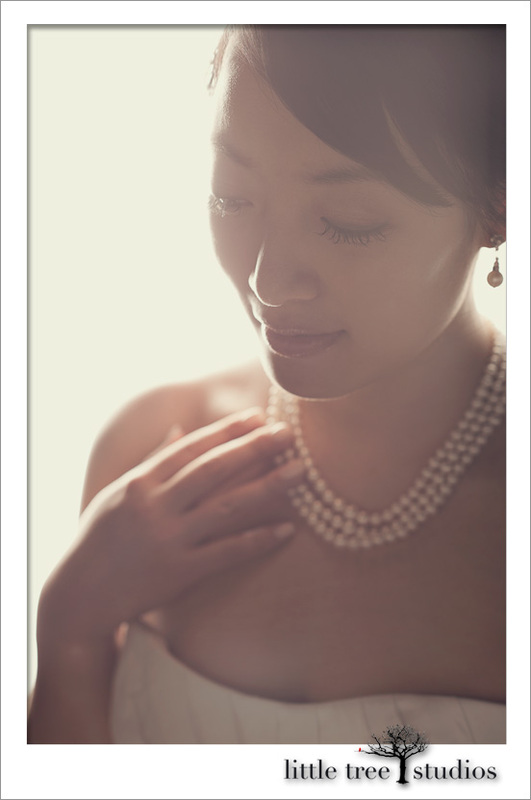 You can contact April by email at openprismphotography@gmail.com, or by calling 614-653-9082. 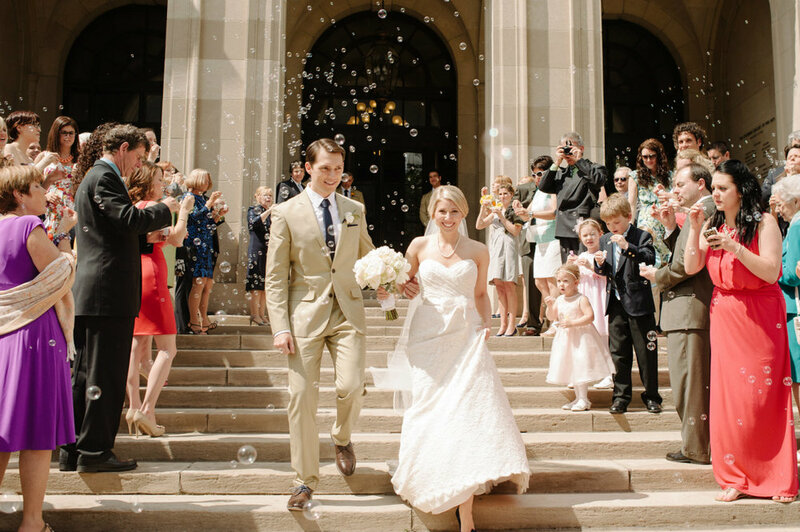 Katie & Mark at The Columbus Athenaeum! The Columbus Athenaeum in Ohio, is one of my favorite venues to serve as the wedding officiant for brides and grooms like Katie and Mark. 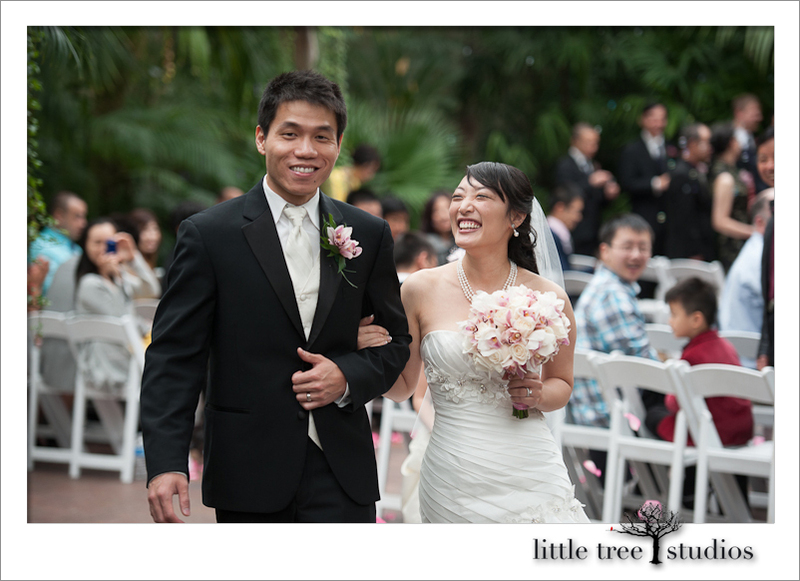 The staff at this venue are very organized and punctual, and this can be very helpful as so much of a wedding is on a timeline! Ann Clark does a fantastic job and she was their wedding coordinator that day. 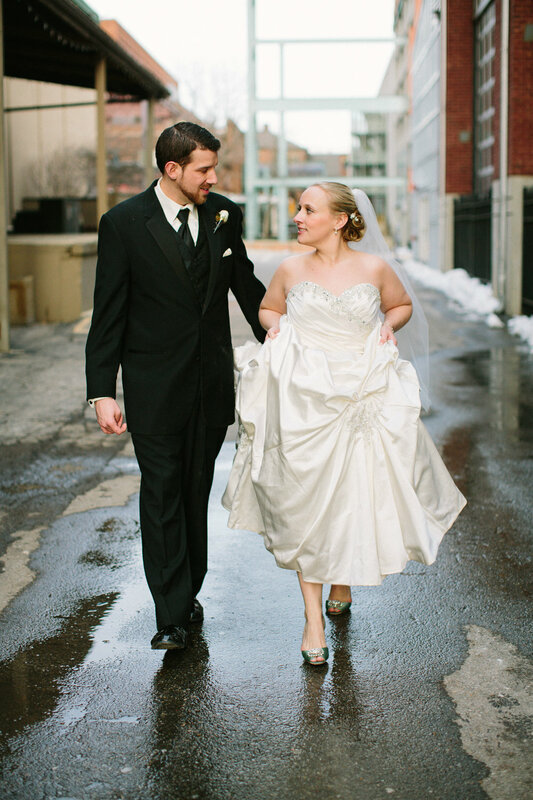 In this first photo, Katie and Mark are having a great time together as they stand outdoors in downtown Columbus. 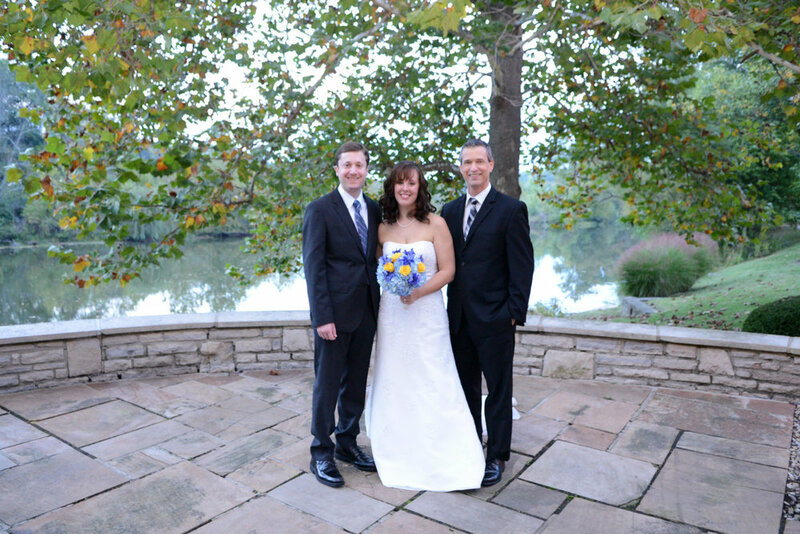 Katie & Mark's formal pose with wedding officiant, Damian King in Columbus, Ohio A great deal of detail went into crafting the arrangement for this bouquet so that appears much like a work of art! This wedding bouquet is a work of art!Here I check in with the bride and offer a few words of encouragement to Katie. She felt very ready to begin! Mark and Katie have waited a long time for this day and want to celebrate! Katie is ready to be married. 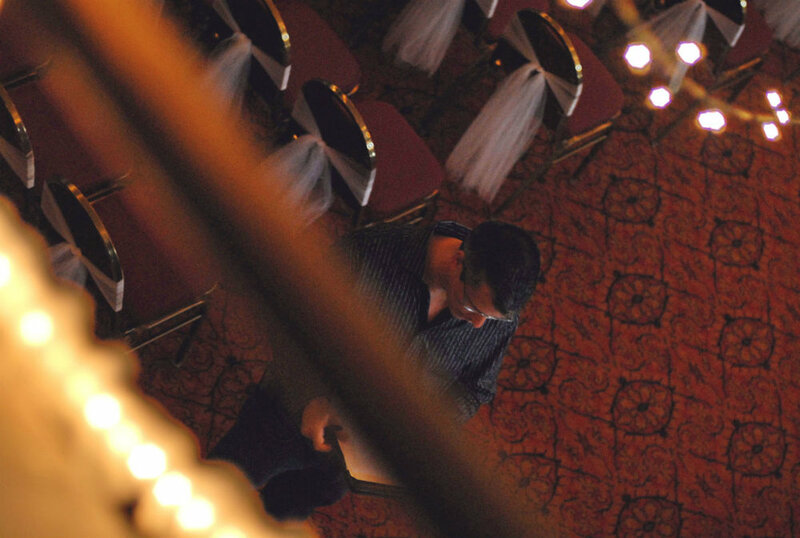 Wedding officiant, Damian King, checks in with bride before her ceremony in Columbus Ohio.One of my favorite parts of any wedding ceremony for me is when the words, "You may kiss the bride! ", are spoken. And Mark truly kisses his bride! The guests were cheering and I was over to the side enjoying the reaction of all those in attendance. You may kiss the bride! Groom, Mark, takes those words seriously. A very happy couple!Another great photo with the bride and groom with their bridesmaids and groomsmen in downtown Columbus. Wedding Dip! 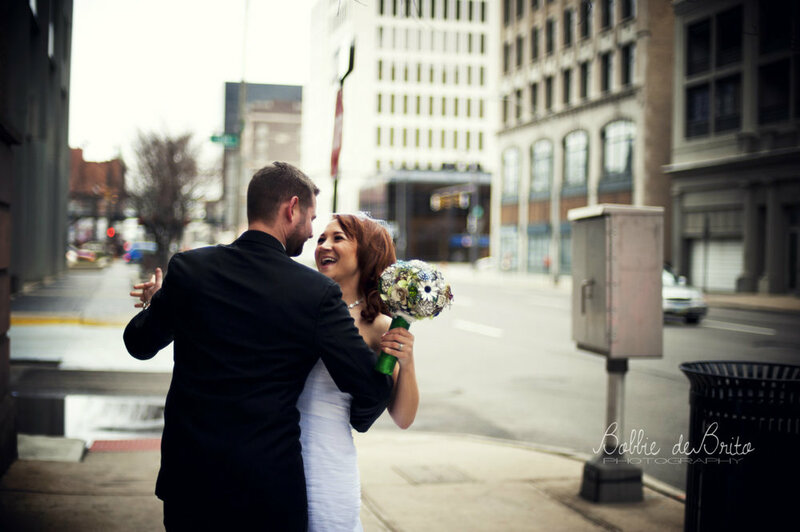 Katie & Mark relish in a fun moment with their bridal party in Downtown Columbus, Ohio.Here Katie and Mark again enjoy each other's company, as they celebrate their future as husband and wife with all the possibilities and the promise it holds. 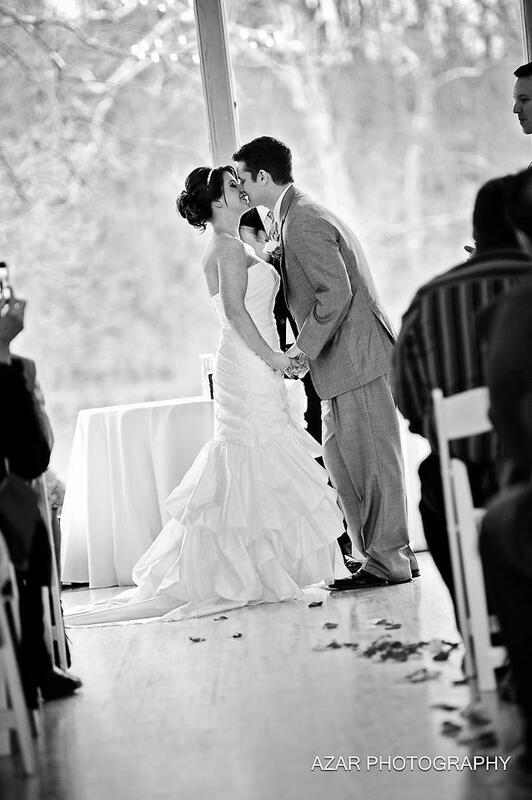 Bride & groom in the moment - "I am captivated by your love. "All the photographs in this entry display the fine artistic talent of Bobbie DeBrito of Photography by Bobbie DeBrito. You can find out more about Bobbie's work by following the link provided. You can also call or email her at 937-716-4378 and bobbie@photographybybobbiedebrito.com to see if she is available for your wedding. Katie & Mark used Master Mix DJ for their music and *Rachel's Cakes* for their wedding cake. Katie's beautiful dress was by David's Bridal. I wish this beautiful couple all the best in the years to come! 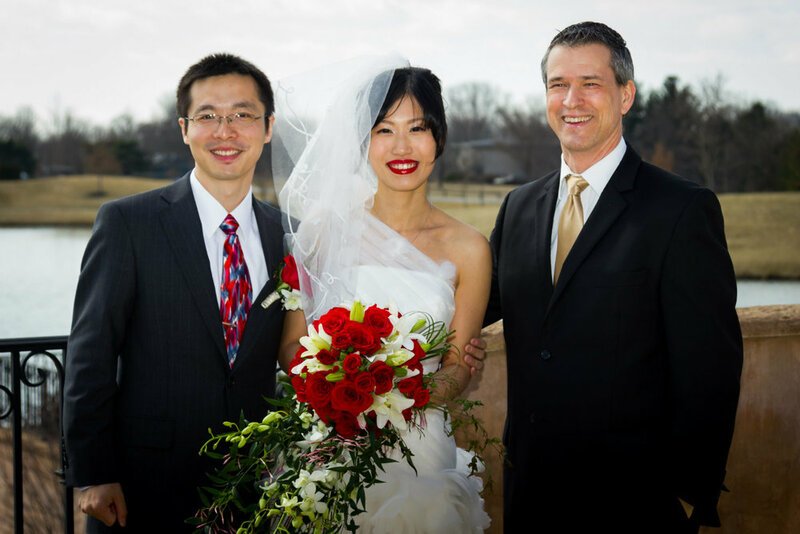 I was happy to serve as their officiant on their wedding day in Columbus Ohio! 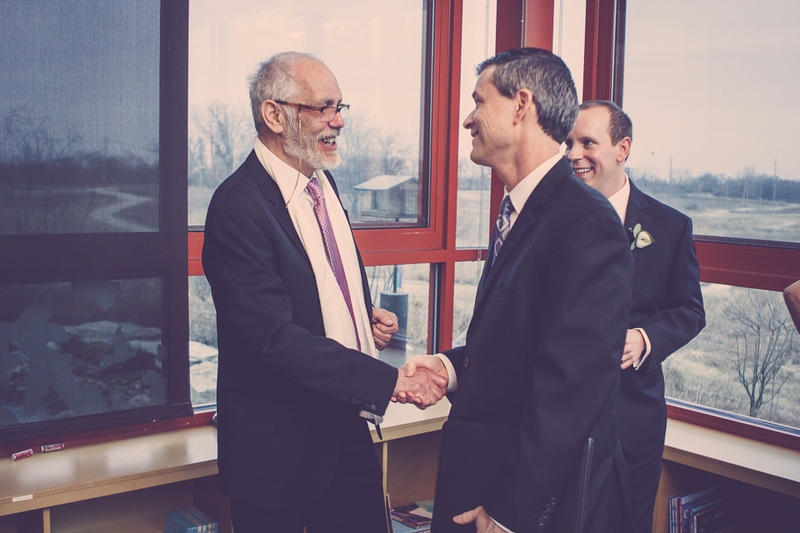 Serving as the wedding officiant at the Columbus Museum of Art in Ohio is always a wonderful experience for me. Katie Laux and the staff there are fantastic, and the lighting is often excellent for those important wedding photos. I was privileged to celebrate with Kayln & Matt on their special day! 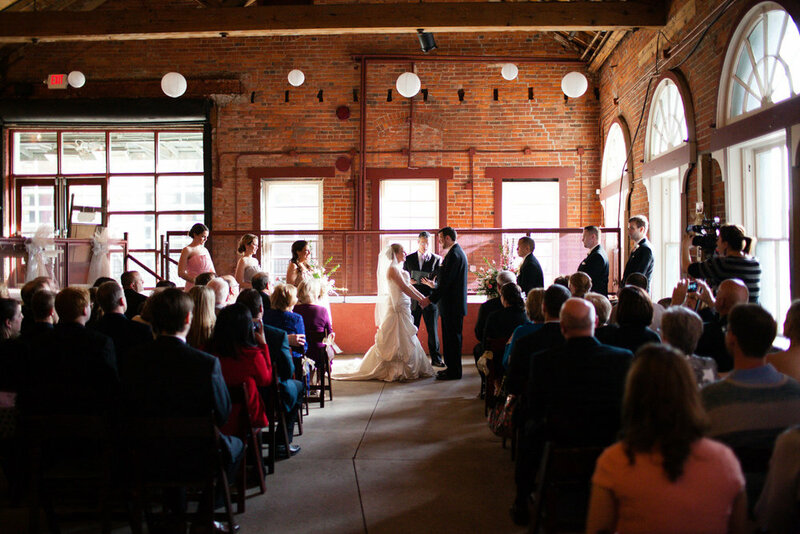 Their reception was held at the Boat House at Confluence Park in Columbus, a very picturesque location for any event. At the Boat House, Matt and Kayln threaten each other with wedding cake! They appear so happy together. In a later shot you will see that they both scored points with that desert! Who won? You'll just have to wait and see. Fight Fair! 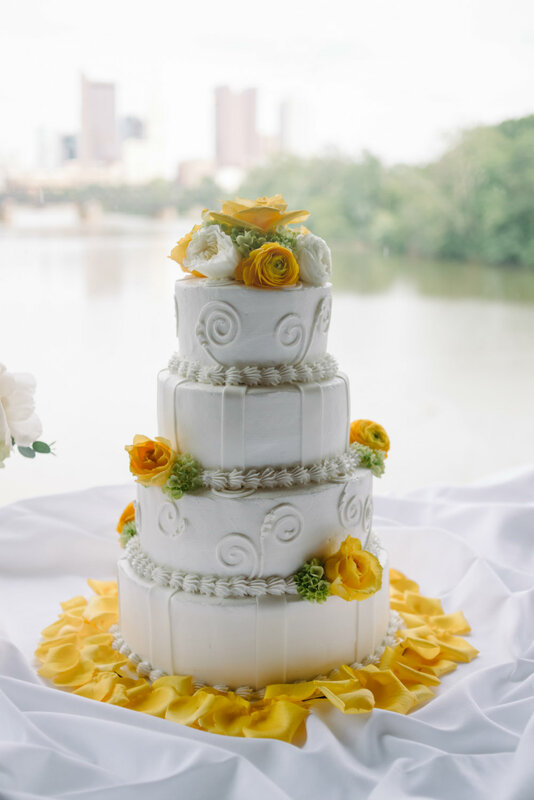 Kayln & Matt's wedding cake dual at the Boat House in Columbus. Here the happy bride and groom walk down the aisle as "husband and wife!" 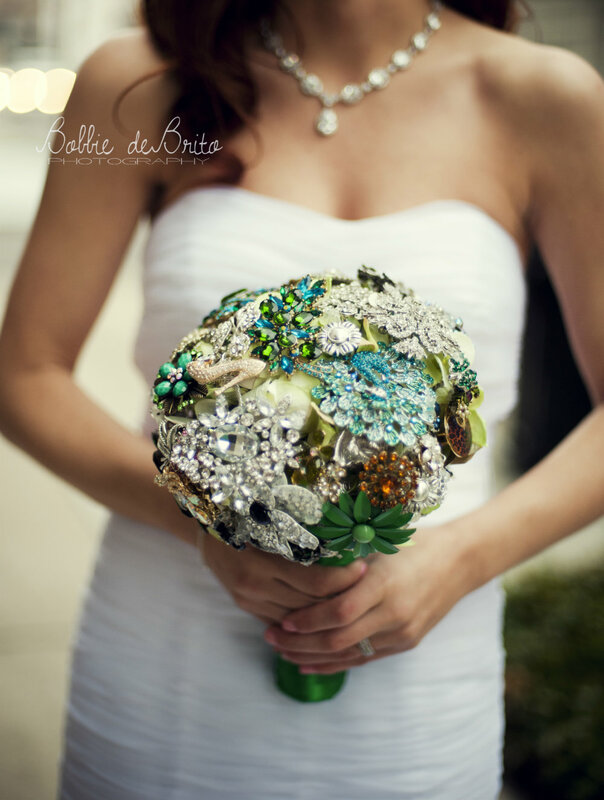 Isn't Kayln's bouquet amazing? You can also see the mother of the bride turning her head toward the newly married couple as they exit. 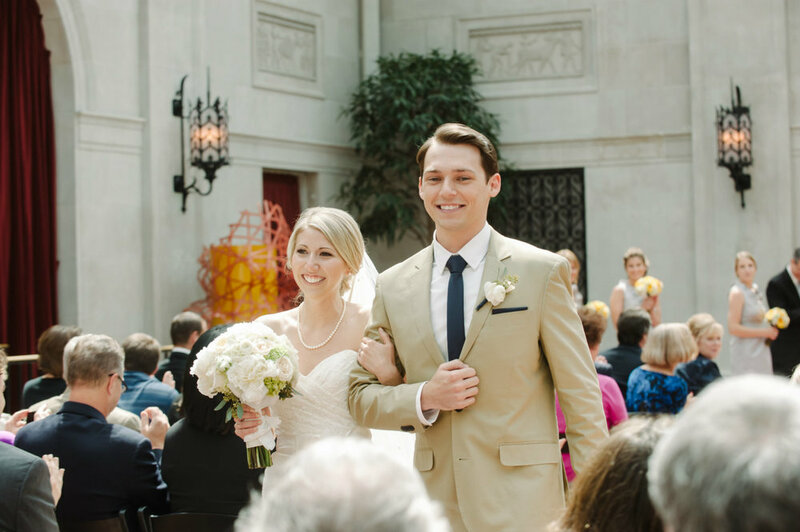 Kayln & Matt walk the aisle at the Museum of Art in Columbus Ohio. Mike and Kim photography. 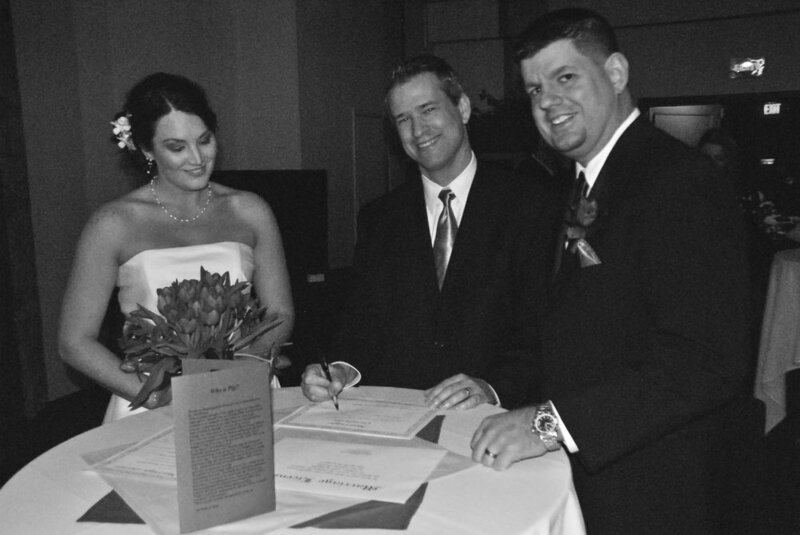 Enjoying a quick photo while signing the all-important marriage license. 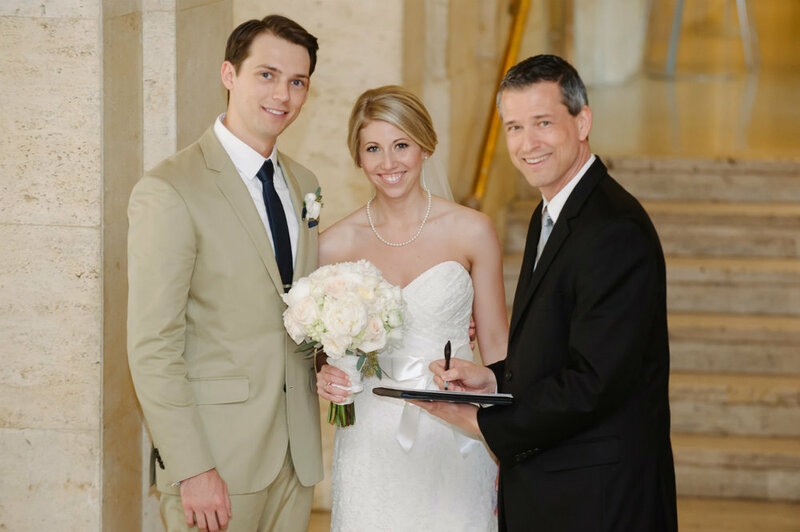 Columbus Ohio wedding officiant, Damian King, signs marriage license. 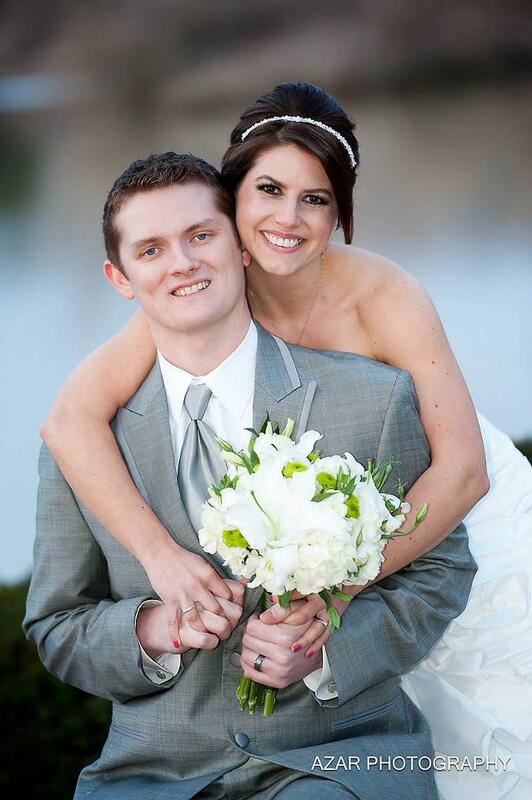 Kayln & Matt were bride and groom.And now off to their wedding reception at the Boat House! 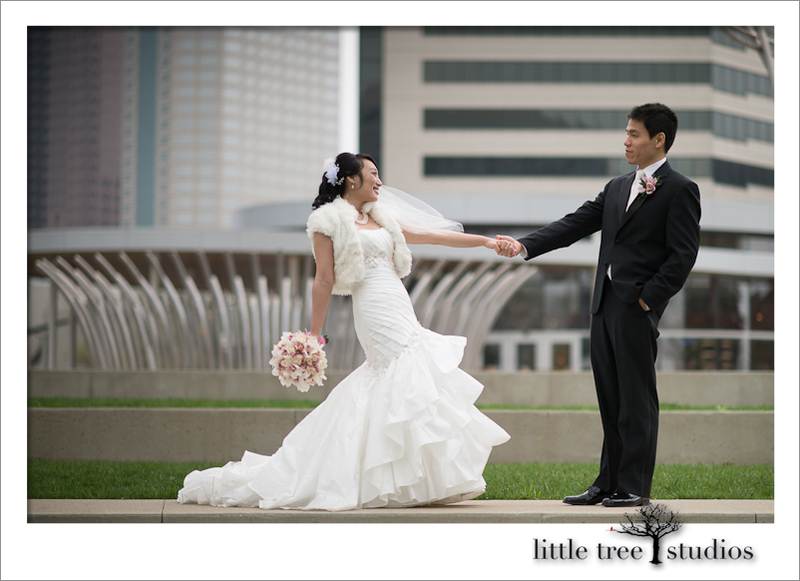 Columbus Ohio wedding at the Museum of Art. Bubbles fly as Kayln and Matt make their exit to the limousine!Kayln & Matt in their limousine. They are radiant and happy to be married! So happy together in Columbus Ohio! Kayln and Matt just married at the Museum of Art.Time for their "grand entrance" at the reception. Cool wedding dress that Kayln has chosen! A skip in our step! Grand entrance of the bride and groom at their Boat House wedding reception!Wedding cake that looks too good to eat! The Columbus city skyline can be obscurely seen in the background. Kayln and Matt's amazing wedding cake at the Boat House, Columbus Ohio.Victory! Kayln and Matt smear that decorative desert on each other but find it's well worth it for the fun they share. Looks like she won! 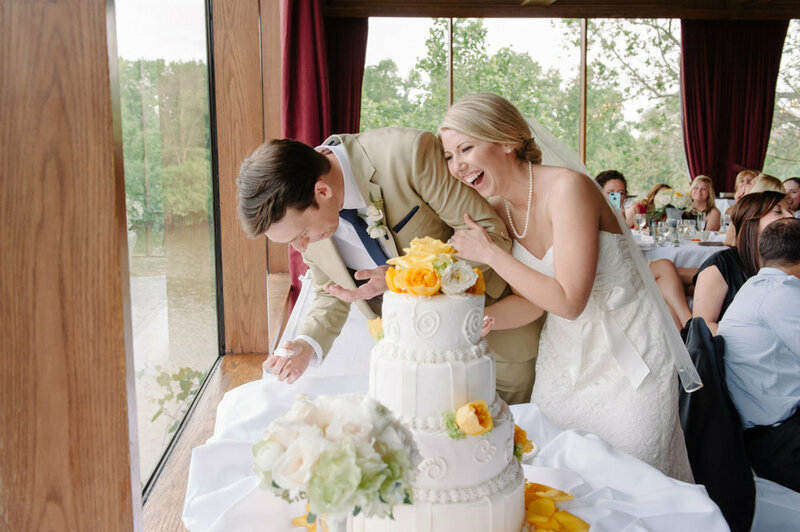 Bride scores points in wedding cake dual in Columbus Ohio at the Boat House.Thank you Kayln & Matt! 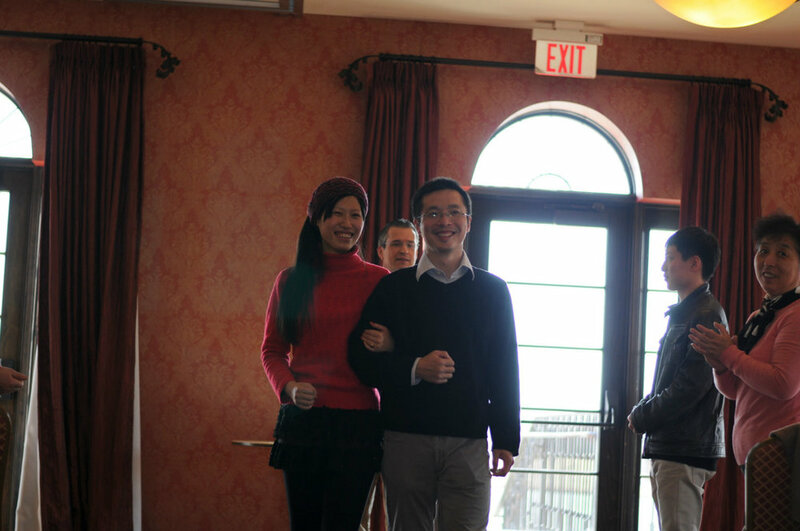 It was a pleasure celebrating with you and your friends and family at your memorable wedding day celebration! 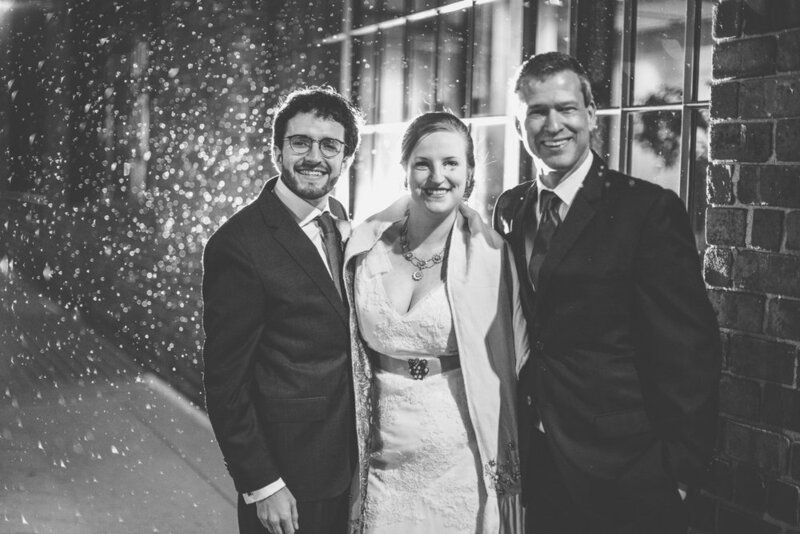 Kayln & Matt after their Columbus Ohio wedding with officiant Damian King.All the awesome photos in this blog are the work of Mike and Kim Lotz of Mike and Kim. Please visit their website and contact them for all your photography needs. They are professional and kind, and they do an amazing job. Their phone number is 614-460-9851. You can also email them at info@mike-and-kim.com. I was so happy to share Kayln and Matt's wedding as their officiant and wish them the very best in their marriage and future! 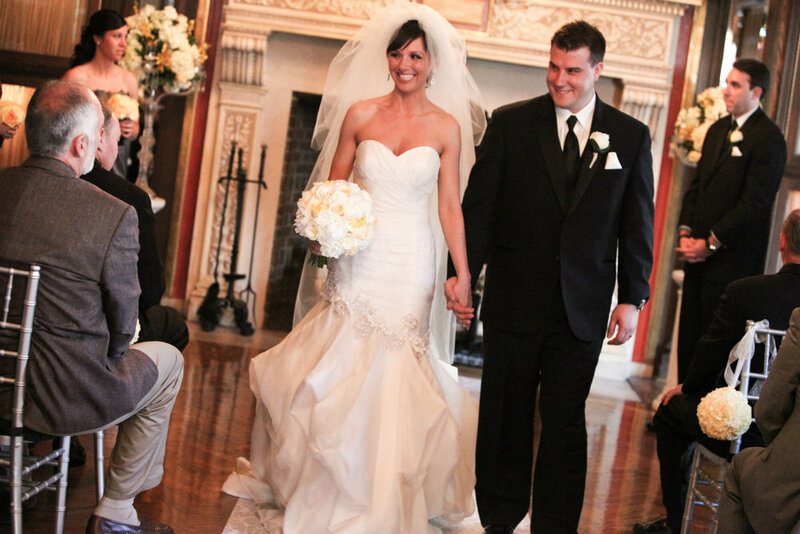 Amber & Adam at the Athletic Club of Columbus! I was privileged to be the officiant for another wonderful Ohio wedding at the Athletic Culb of Columbus. 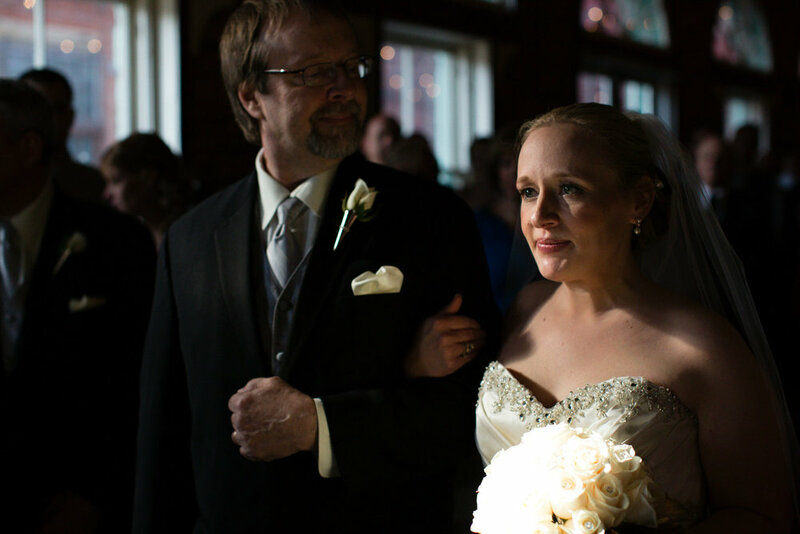 Adam and Amber were celebrating with many friends and family members whom they were acknowledging as they made their way down the aisle in this first photo. You can also get a great look here at Amber's beautiful dress supplied by Big Rock Little Rooster (located in downtown Columbus). Amber and Adam's wedding - They walk down the aisle at the Athletic Club of Columbus, Ohio.Amber and Adam did a great deal of prep work in anticipation of their amazing wedding day. I was so glad to be a part of their lives and that I was able to share those very special moments with this beautiful couple. 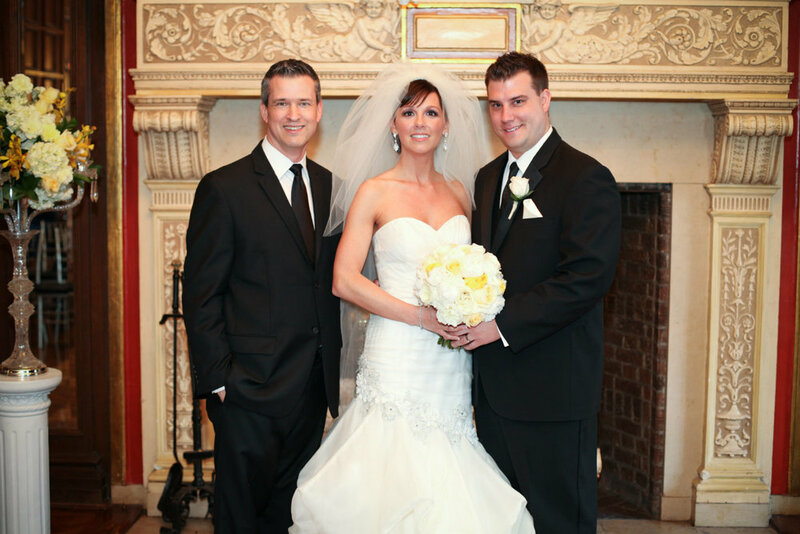 Amber and Adam with wedding officiant, Damian King, at the Athletic Club of Columbus, Ohio.Kristin Coburn was the Athletic Club's event lady doing an awesome job coordinating the many activities for a successful event. 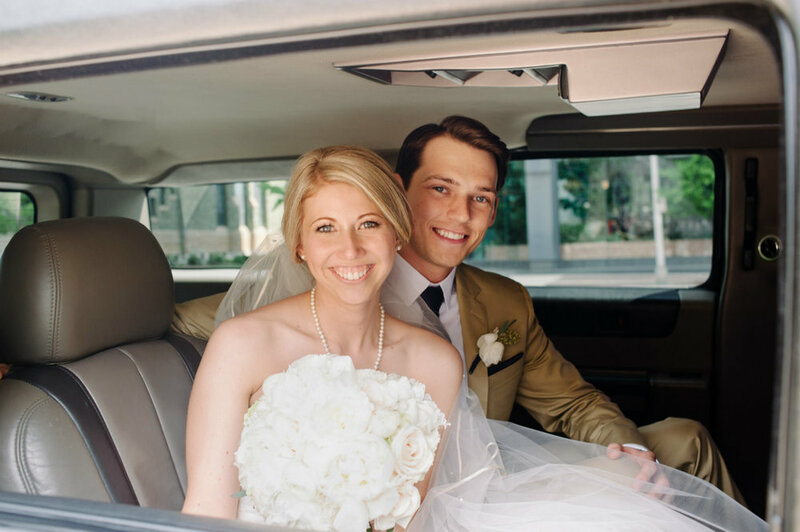 The bride and groom also brought wedding planner, Lisa Sullivan, on board and she payed such close attention to so many of the details for Amber and Adam along the way. She was great. 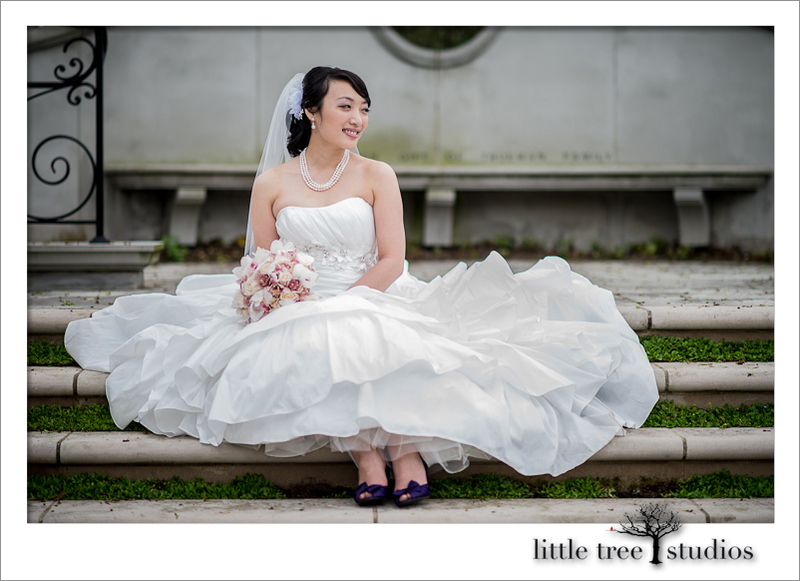 The beautiful images you see in this entry are by Adam Lowe of Adam Lowe Photography. You can select the provided link to Adam's website to see more of his artistic work and talent. Adam's email and phone number are adamlowephoto@gmail.com and 614-571-9577. I truly enjoyed being the wedding officiant for this gracious bride and groom, and also working with Adam Lowe and everyone at this festive celebration! 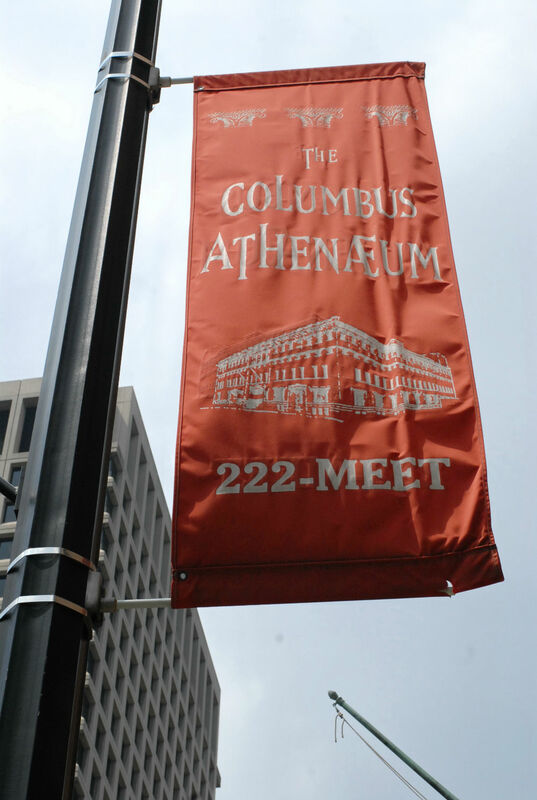 Recently I had the opportunity to visit the Athenaeum in downtown Columbus, Ohio where many outstanding weddings are held. 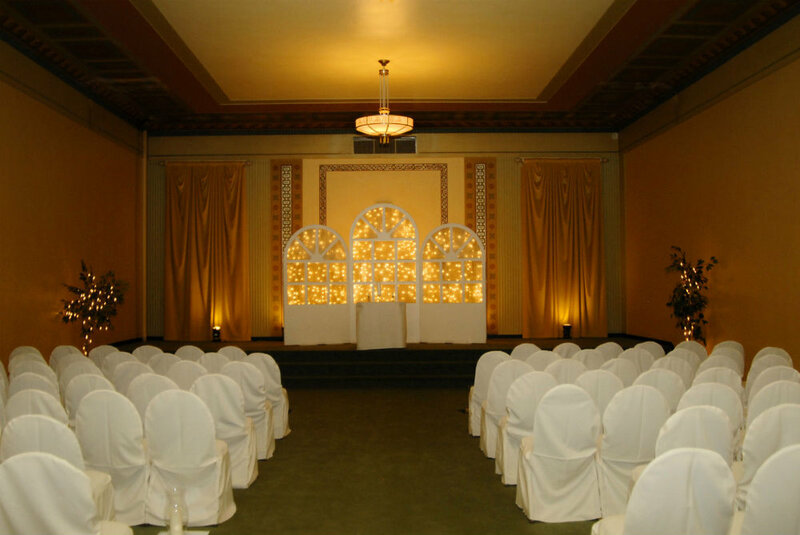 As an officiant, I have the honor of celebrating with many brides and grooms at this very tasteful and busy venue. 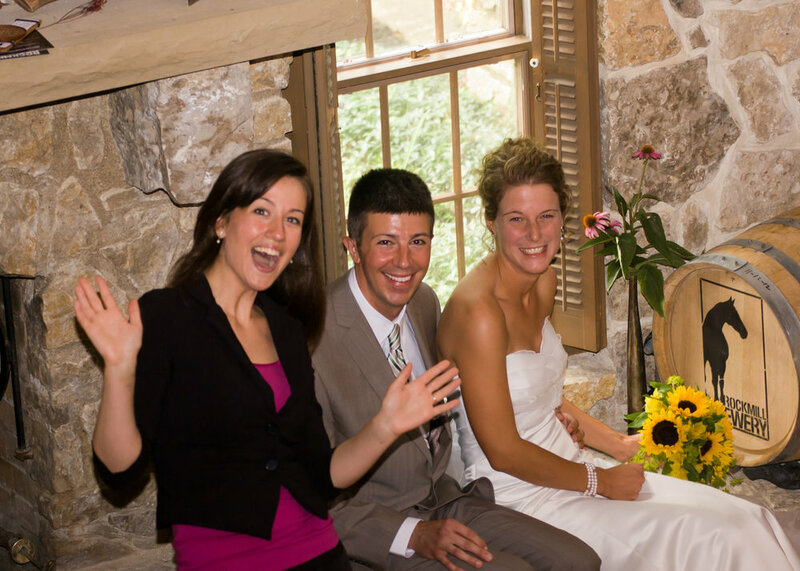 The staff always amazes me, because sometimes they are holding 4 weddings at the same time! Talk about the need to coordinate! But they manage all the details so well and consistently provide their brides and grooms with outstanding service in a setting that is filled with beauty and charm. Oh, by the way...the food is fantastic! Wait until you try their meatballs. Banner outside the Athenaeum wedding venue in downtown Columbus, OhioHere is a shot of the outside of the venue. It can be deceiving because the inside is incredible. An outside look at the Athenaeum wedding venue in Columbus, OhioIn this next shot I am with Gina Cristofani, Sales and Event Manager, and we are in the Priory discussing some wedding details. It was a fun visit and Gina does a great job as she has to coordinate many things to make the wedding day experience come together as it should. The entire staff runs like clockwork. 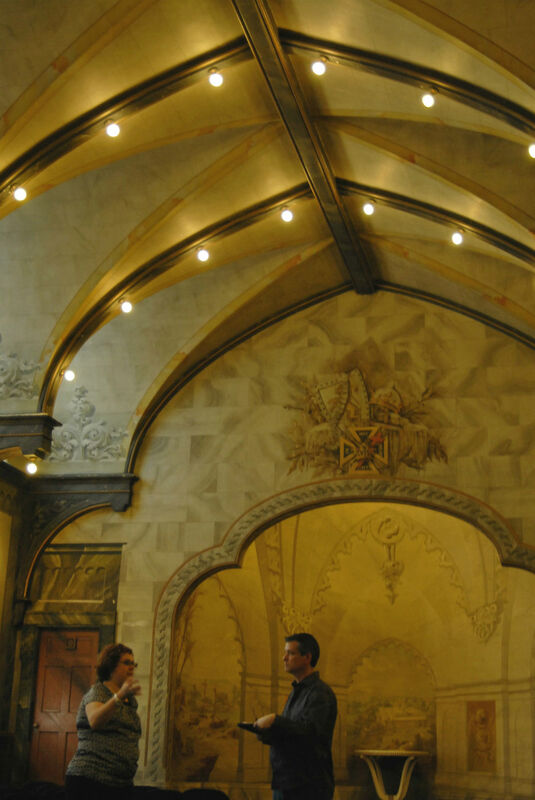 Gina Cristofani and officiant, Damian King, discuss wedding details in Columbus, Ohio, in the Priory.Here you can see some of the incredible architecture inside the Priory within the walls of this 1896 structure. Beautiful architecture in the Priory at the Columbus Athenaeum wedding venueHere is a look from just outside the Priory. A look from outside the Priory at the Columbus Athenaeum - Gina and Damian continue their chat.Open Prism Photography took this shot along the way while we were there. I thought it looked pretty cool. 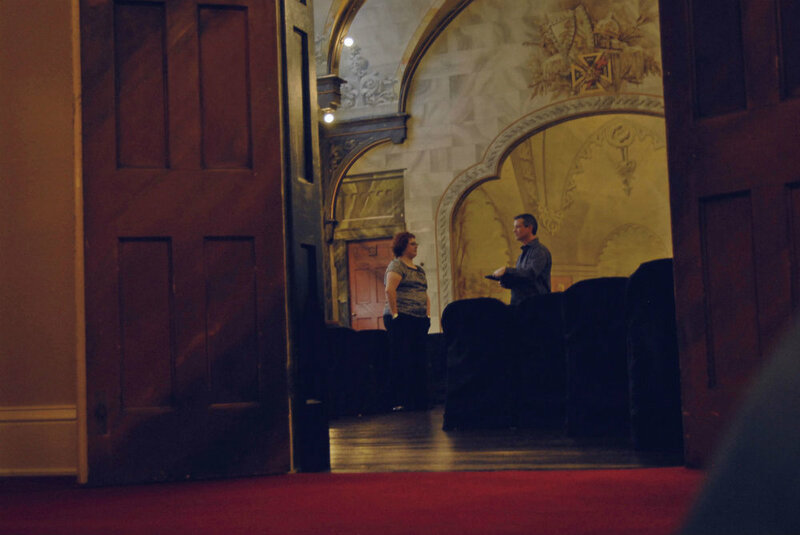 An image from the Small Theater in the Columbus Athenaeum, wedding venue in OhioHere is a quick look at the Macedonian Room. A look from above at the Columbus Athenaeum's Small TheaterI felt that this lamp base was a fitting sign for a place where so many brides and grooms commit to a lifetime of love as they become husband and wife. 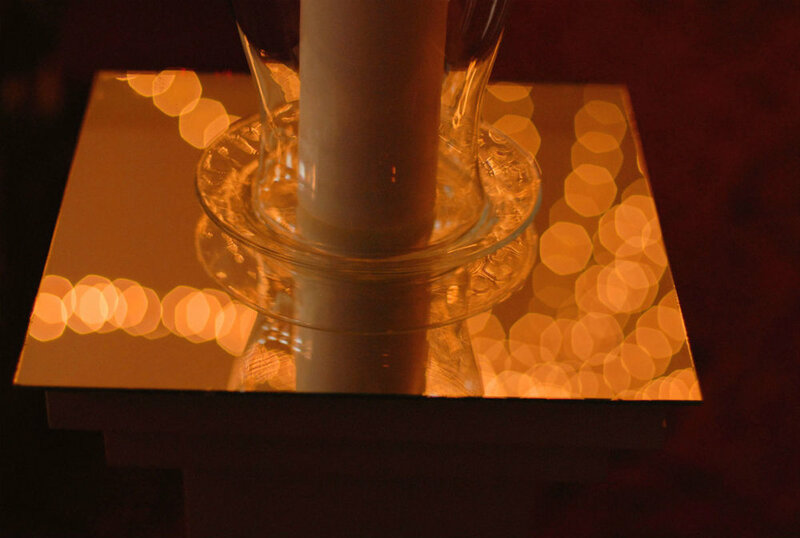 "A Place for Love" - Heart shaped lamp base at the Columbus Athenaeum wedding venue in Ohio.The photographs in this entry are courtesy of Open Prism Photography and the work of Rebekah King. Feel free to visit their website at the link provided. You can call or email Rebekah for more information at 614-653-9082 or openprismphotography@gmail.com. 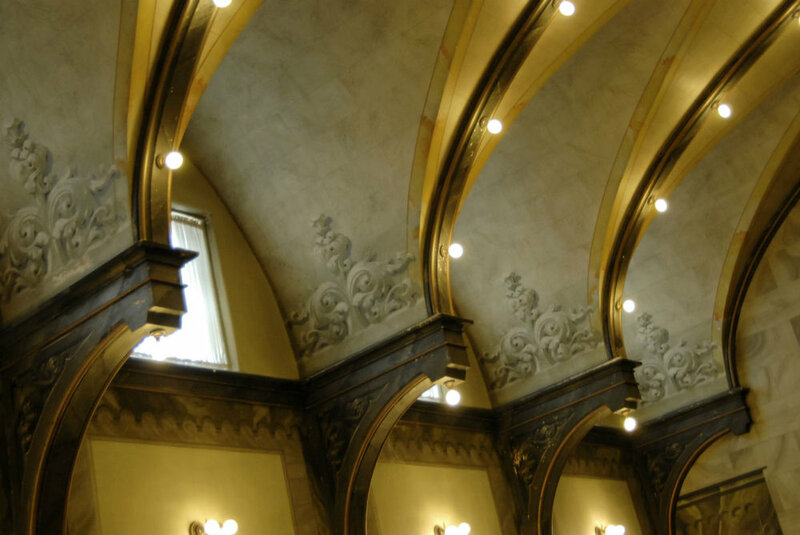 I enjoyed my visit to the Columbus Athenauem venue in Ohio, and I look forward to serving as wedding officiant for many more happy brides and grooms. Thanks for stopping by my website! 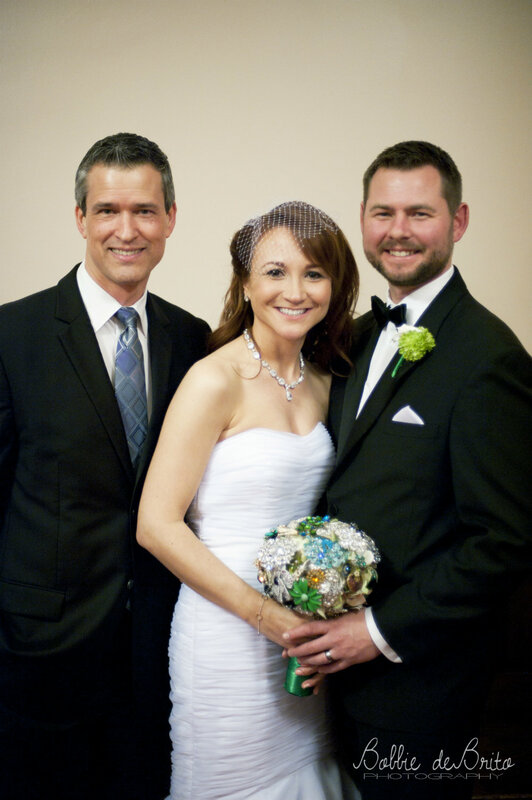 I was so glad that Brenda & Clint asked me to celebrate with them as their wedding officiant. 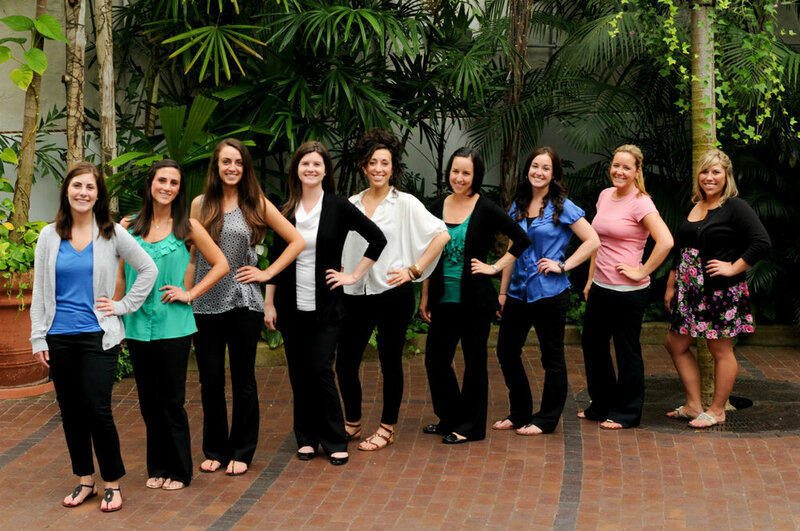 They chose the beautiful Darby House in Columbus, Ohio as their location. It is easy to enjoy this first photo with Brenda and Clint's look of delight as they gaze upon each other on this very special day. Brenda and Clint enjoying a fun moment, together with their wedding officiant, in greater Columbus, Ohio, at Darby House.A tender kiss for the bride and groom, now pronounced "husband and wife". They love each other like no one else and it shows! "You may kiss the bride!" Brenda and Clint's wedding ceremony in Columbus, Ohio.Two very lovely and sweet flower girls make their appearance and add the touch of flower petals to the ceremony location. 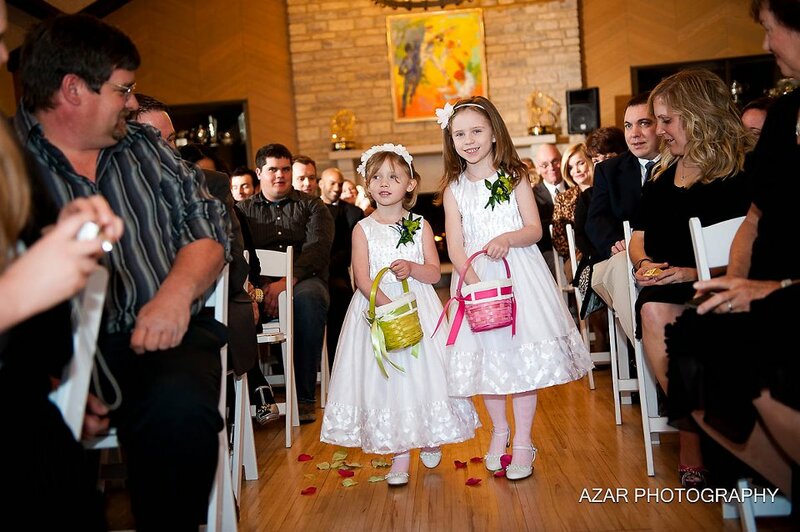 These little ladies clearly have the attention of the guests! The aisle was laced with rose petals... 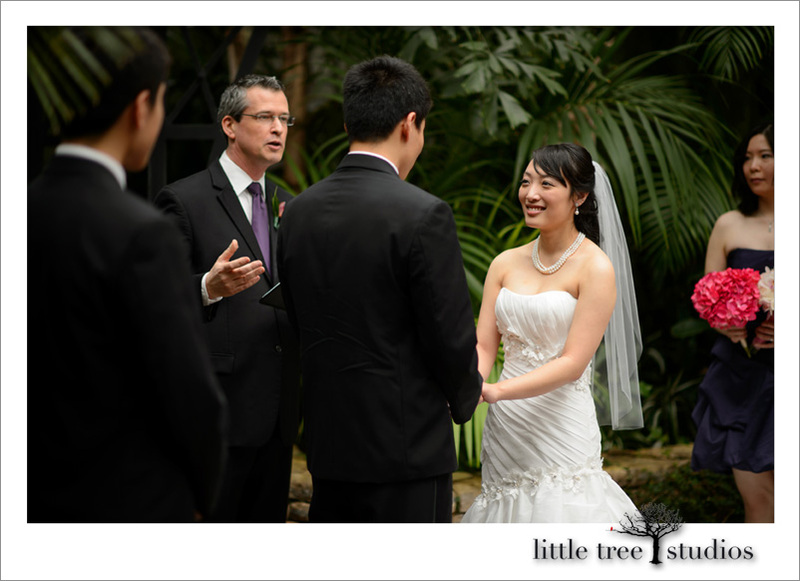 In order to personalize their ceremony for them, I had the honor of sharing a few thoughts with the guests. Here is one of those thoughts - "We initially bonded over our similar taste in music and have attended many concerts together. Our relationship was very easy right from the start – no games, no dishonesty – completely natural." Tender moments like these are never forgotten. I am going to let these last 4 special images of Brenda & Clint's wedding day speak for themselves. "How can we make this moment last?" Brenda & Clint at Darby House Brenda & Clint after their wedding ceremony at Darby House in Columbus, Ohio "These are the hands of your best friend, young and strong and full of love for you..."
"Let's dance this moment into the future." "I am so grateful to have found you. 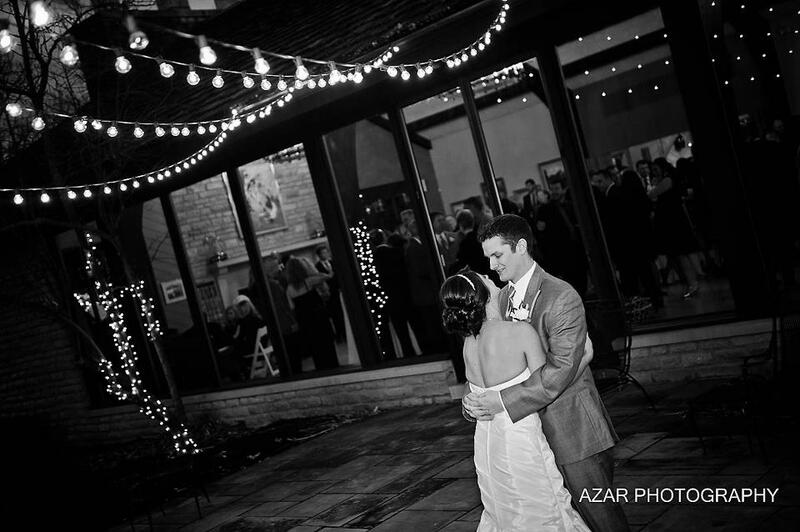 "Azar Photography and the fine work of Andriy were responsible for the images in this entry. 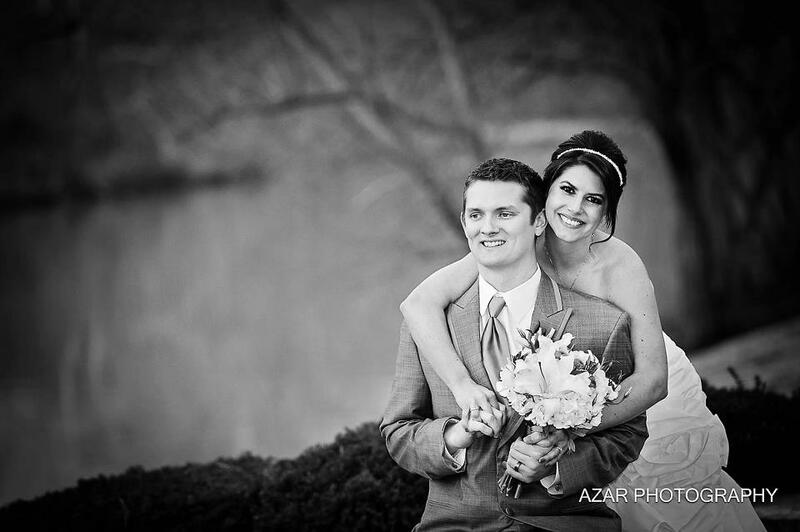 Please contact Andriy at the link provided or by calling 614-218-2103 or emailing azarphotography@hotmail.com. Brenda's wedding dress was provided by David's Bridal. Their music was provided by Encore Entertainment and Trent Iguchi. Their caterer was Cameron Mitchell Catering. Flowers were by Bloomtastic and their wedding cake was by Cakes by Cecile, Columbus, Ohio. Brenda and Clint it was such a pleasure to celebrate with you as your wedding officiant! May all your years be filled with peace and happiness!